‘Assemblage’ as a creative incentive in contemporary mural artworks. 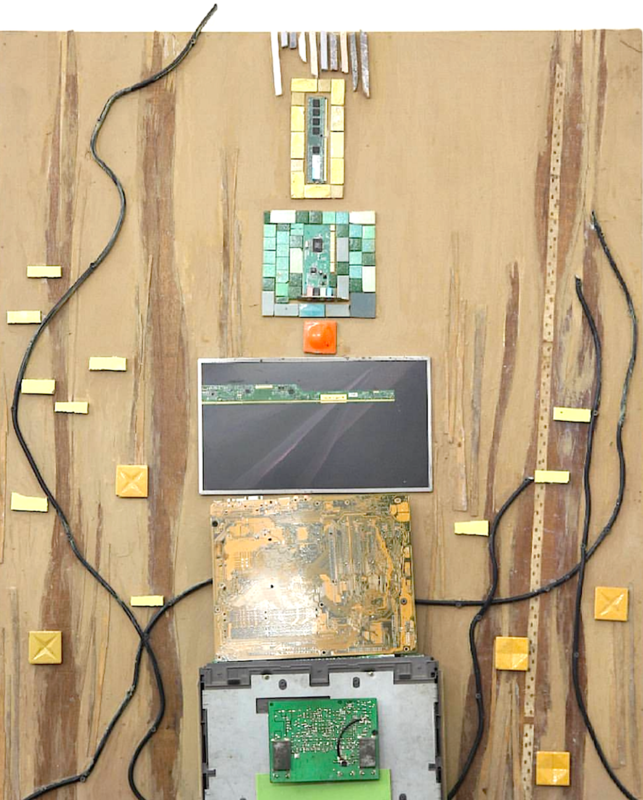 Egyptian artist Amal Ezzat Soliman shares with us a synopsis of her PhD thesis on experimentation in contemporary art, and in particular on the "assemblage" genre and techniques. Contemporary artists have always been looking for new forms of expression. They have experimented with new materials provided by technology, such as plastics and new types of lighting, which revolutionized performance techniques. 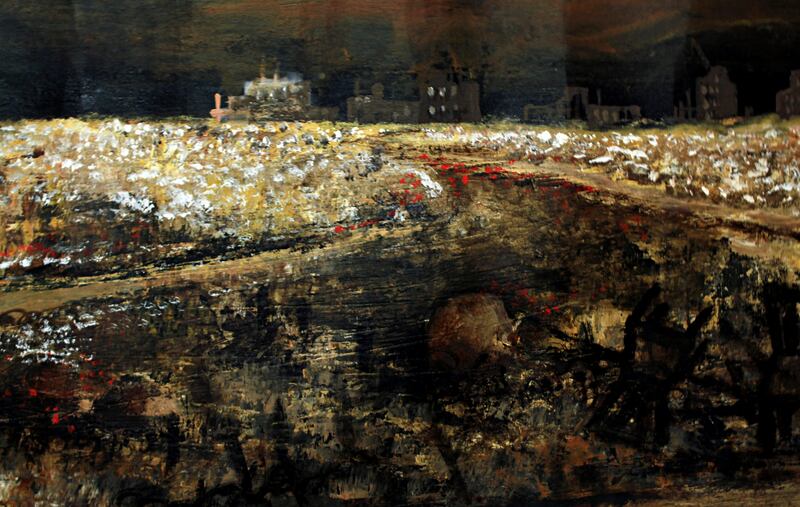 The use of these non-traditional materials has played a major role in giving modern art its unique character, which has influenced artists, their artistic techniques and the richness of their creative imagination. on. The scientific progress witnessed in the twentieth century influenced the understanding of the reality of art in society, accompanied by revolutions that responded to the unprecedented social and technical changes that characterize modern life. It was also accompanied by a change in the aesthetic ideas and effects of the prevailing artistic concepts that influenced the development of modern artistic trends, like ‘Assemblage’. Experimentation in the arts is inseparable from the historical and social awareness of each artist. When combined with creativity, he/she can create new ways and devise new tools, means and forms through which to express his/her vision of the world and develop his/her creative movement, from the historical, social and human practice, and hence it is a source of knowledge and a criterion for the validity of any theory. The spirit of experimentation in the field of arts does not arise and does not move isolated from the spirit of experimentation in the other cognitive fields. The artist has modernized the re-formation of the remnants of raw materials and wastes in abstract forms, characterized by freedom from all forms, achieved through the formations of complex and innovative assemblies, where the artist employs the directions of lines and spaces and blocks and spatial relations to gain a special character through the overlap and integration of shapes and spaces, which is led by the artist's passion towards the realization of the idea and content of the work. The term "assemblage" was formulated by the artist Jean Dubuffet to refer to works that transcended cubism. He defined it as: "The art in which elements of reality are assembled to erase many of the boundaries between oil painting and sculpture in favor of the simplest idea of ordering parts". 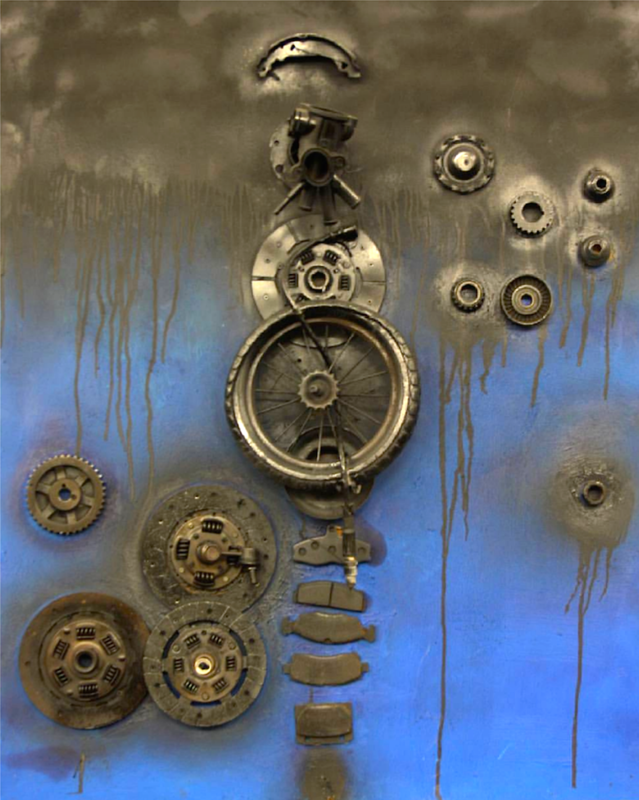 Assemblage is a more comprehensive term than collage and applies to sculpture as well as oil painting and multimedia works, and a number of researchers refer to Assemblage as three-dimensional configurations in which a variety of different materials is combined. Many styles have dealt with the art of Assemblage such as cubism, Dadaism, surrealism, new realism and pop art. 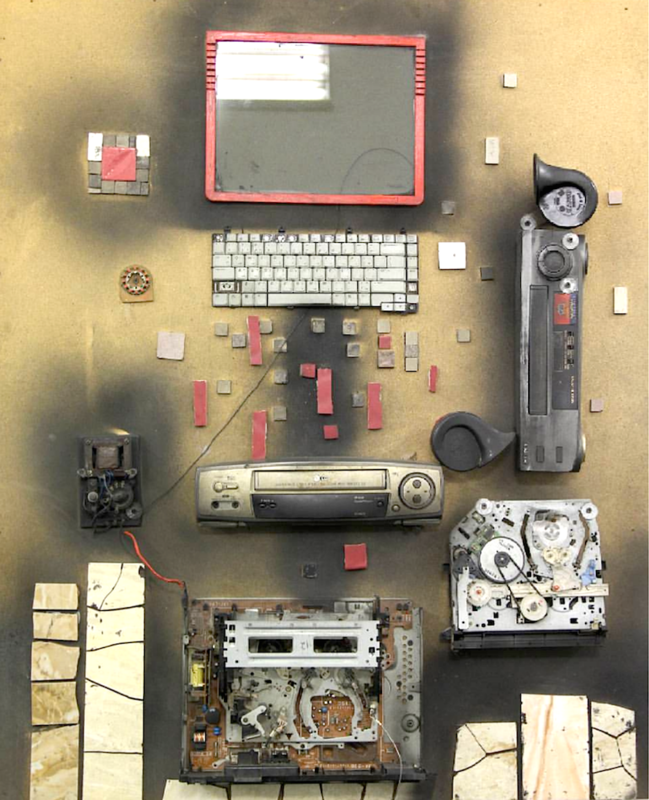 Assemblage art accommodates a wide variety of methods that sometimes intersect with the techniques used in the industry. The art of grouping varied according to the artists’ methods, different concepts and objectives, but despite this diversity there was unity of thought and content. 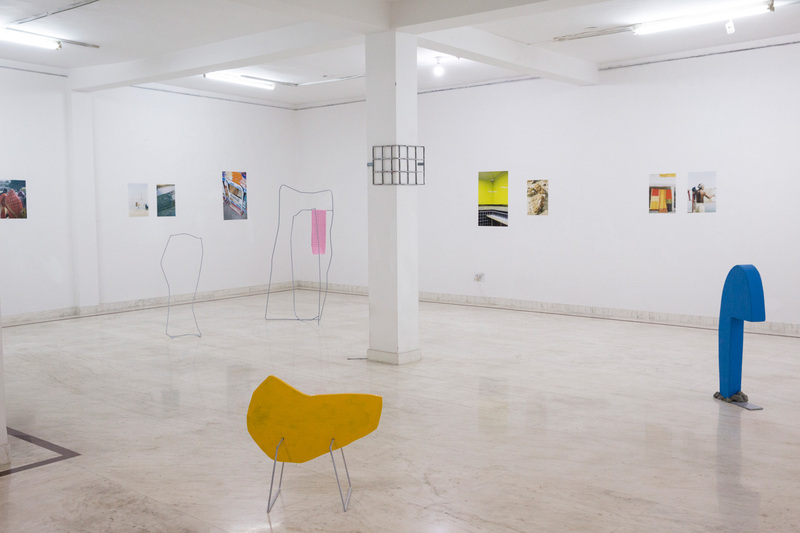 The artists used all types of raw materials from the surrounding environment, and they also considered technology raw materials suitable for inclusion in their work. 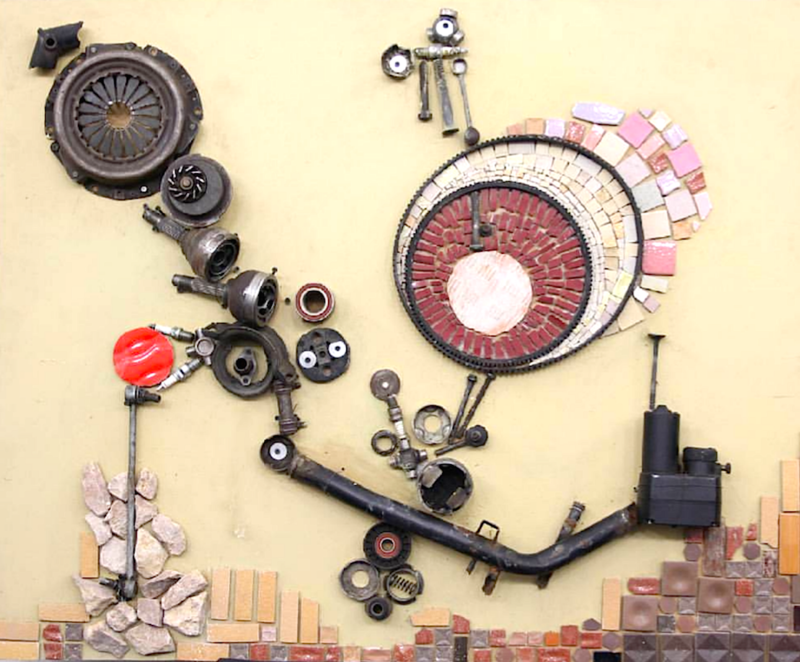 They used industrial scrap materials as natural extensions of objects found in nature and used natural raw materials as a logical source of artistic forms. Like with the Mosaic technique, the work is constructed of objects or small pieces of contiguous material, or several raw materials close to with each other, whether natural, such as stones, pebbles and shells, or manufactured such as pottery, glass, Smalto (pieces of thick colored glass tiles) and others. These pieces shall be fixed on the carrier surface by one of the fixing materials. The most important feature is that they are not filled with spaces or elements of the work, but how to overcome these pieces rhythm and coordination of different sizes and colors, contact and materials, leaving the joints to confirm fragmentation and assembly, which is one of the most important characteristics. Although many civilizations in different times and places have known different types and treatments of mosaics for various purposes, they are also related to the period from Greek civilization to the end of the European Middle Ages (Byzantine civilization), which culminated in that period. The images published here are some of my experimentations with the 'assemblage' technique, that bear the traditional character of the art of wall painting but in contemporary formulations. 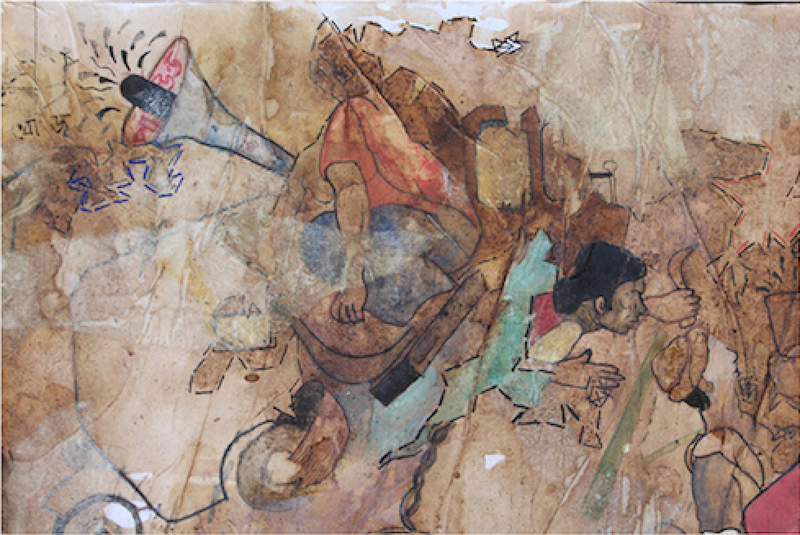 Amal Ezzat Soliman is a visual artist form Alexandria, Egypt, currently living in Oman. She has received a PhD in Fine Arts for mural painting. 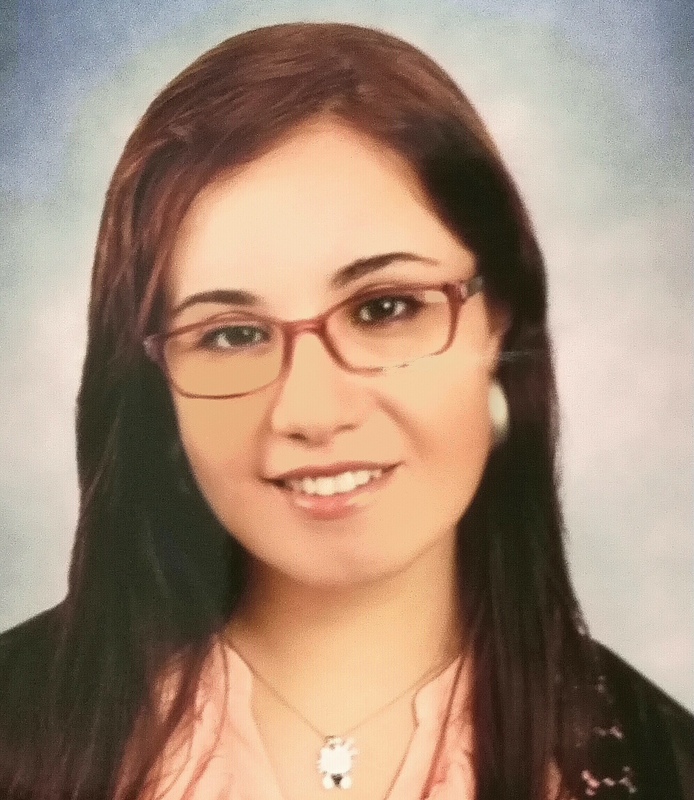 She has participated in many exhibitions in Egypt and Oman, and won the honor prize for expats in Oman in 2016. 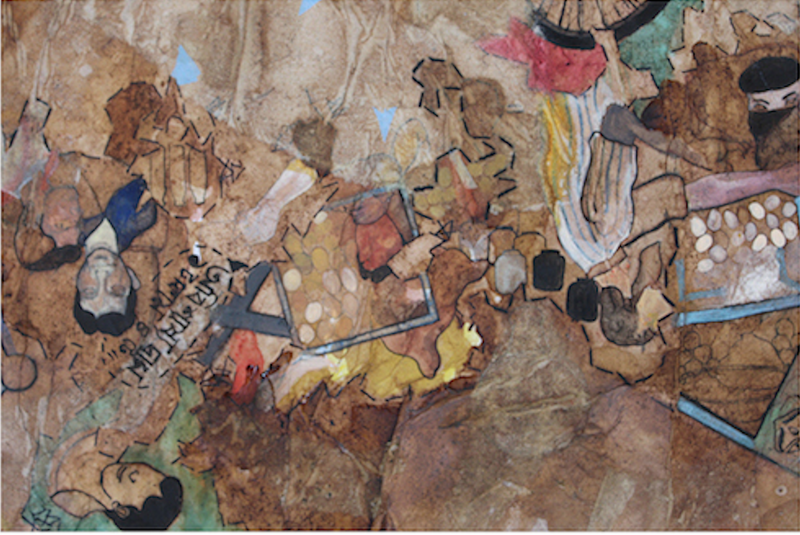 She has also exhibited collections of her works at the Egyptian Embassy in Oman and at the French Omani center. 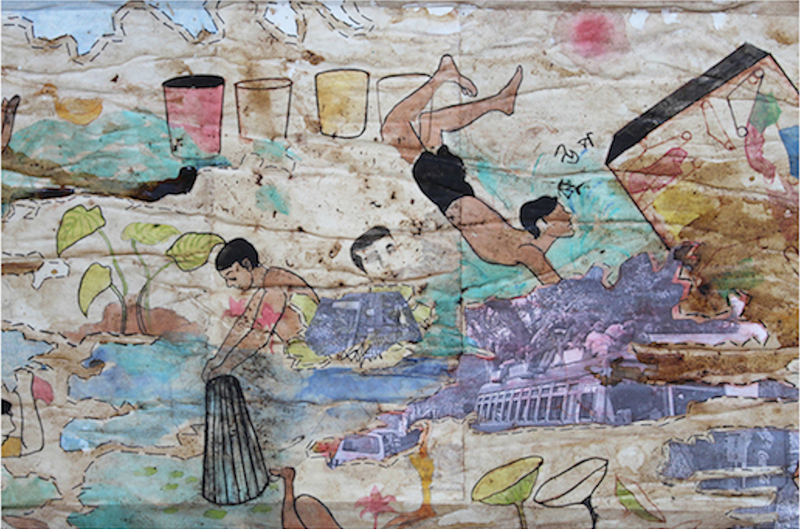 In this series of scrolls, inspired by traditional Indian and Chinese narrative scroll paintings, artist Subhadip Battacharya weaves past and present memories while exploring the textures as well as the potential of paper in rendering the complexities of his story telling. My work keeps the essence of my experiences, pickled in jars, jars that we keep for a long time. The containers of emotions. There were some thoughts in my mind… and time flows... like speeding arrows and haste birds... work happens… again some thoughts enter... they touch times and spaces, and a random selection of images. "The artist becomes less satisfied with the market driven art materials when he starts working with themes like memories." It is true for me, especially with memories coming from a middle-class town woes. My work starts with conversations with the people I come across. Both people close to and strangers to me. My memory becomes clear and then unclear again. The distance in time keeps things in a faded blur in my thoughts. This I what I bring to the work, a type of storytelling that I found interesting and unique. I enjoy working this way. It may change, but for the time being this is my style, the artistic language I am pursuing, blended with my interests and studies in a diversity of traditional and folk Indian art. 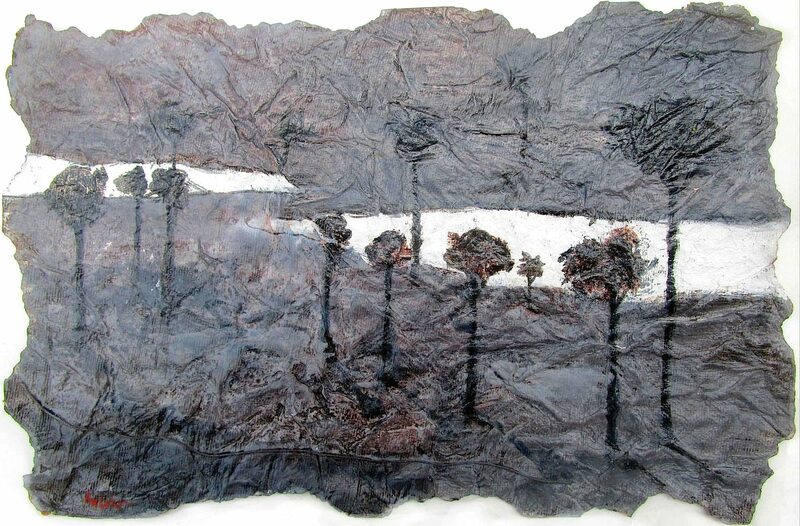 I try to work with a set of materials which actually convey my intended aim, but I often end up burning them, cutting them, grinding them, transforming the core newness into a more essential material which would describe the memory, so that the nature of that material becomes apt to describe memories when I push it with my thrust of meaning into it. I feel the need for materials that are able to communicate, and I am thinking of making my own materials from scratch, making the actual paper. Paper can have many different meanings. 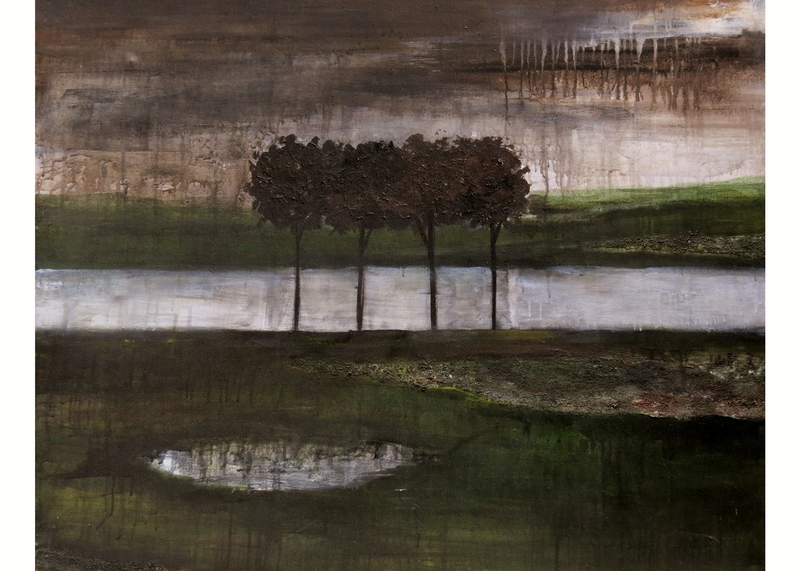 For me it can represent the layers of memories that images get impressed on, a layered holding space, deeply faded. I won't use words on the surface, but it is till surface which I create. In these series of works, I have tried to record my everyday memories. They are a diary, where I tried to express my inner thoughts through the form of scroll paintings, as I am very much influenced by the narrative scroll format of Pata Paintings (1) and Chinese Scroll Paintings. The diverse stories have no distinct feature of similarity or connection with each other as such, but they all incidentally build up the larger frame of my work. I tried to interpret my own childhood memories and played with them in a pictorial way. I live in a 'muffusil town' (2) and thus my memories are made of incidents of everyday life common to all middle class semi urban families, which is what perhaps makes my work stand apart. I used my sense of colour to recreate on the paper the feelings of my memories. In recent times, I have been experimenting with the theme of memory itself, but in a new sense. After being fascinated with stories retold to me by people in multiple interactions, I have decided to focus on the entire theme of ‘tale-telling’ or ‘story telling’, which goes back to old traditions in ancient India. The visual diary then becomes for me a tool to record unique stories of different people onto paper, where I try to put colours into the words and bring out pictures from those stories. I try to visualize the stories for my viewers and in turn share my experiences. My paintings are trying to bring out the different perspectives of the story tellers and their personal points of view, and my linear drawings aim at a simplified and yet layered and nuanced outlook. With the help of this project I would be able to stretch my experiments to different mediums and materials. The expense of testing out new materials in papermaking is becoming unaffordable at times. So this project, if gets funded, would allow me to carry on some experiments in this type of work. I am willing to study more on these areas and would be happy to get assistance from fellow artists. (1) Pata paintings are ancient traditional Bengala paintings drawn on cloth. (2) Muffusil refers to rural or provincial Indian towns. 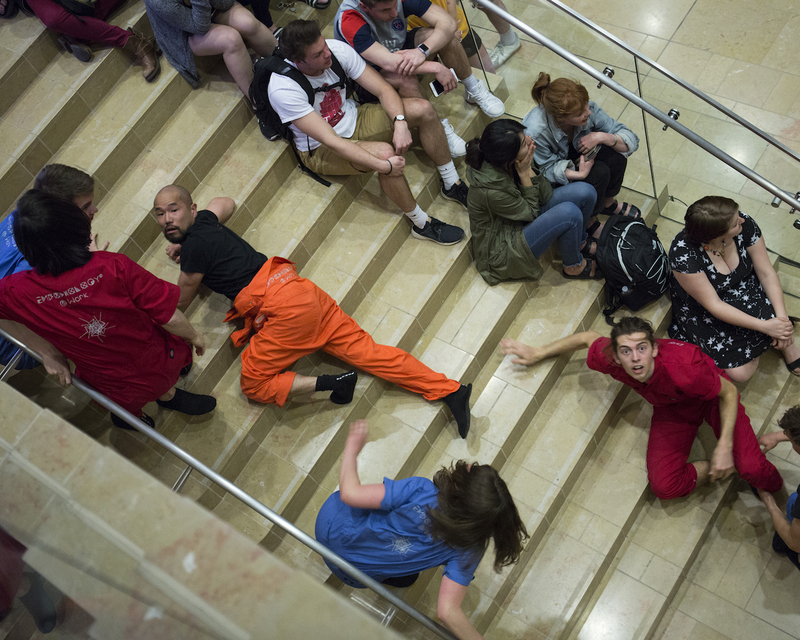 EAS writer Vivien Ahrens reports on an innovative class on the art of improvisation at the University of Wisconsin, culminating in a performance at the Chazen Museum of Art. 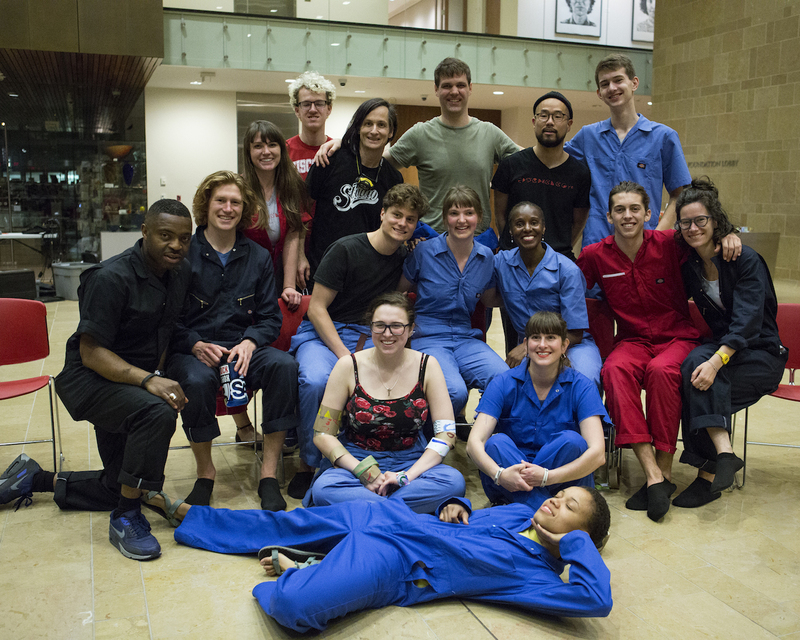 They have spent the past months in training with Dr. S. Ama Wray, this semester’s University of Wisconsin–Madison Arts Institute’s Interdisciplinary Artist in Residence. 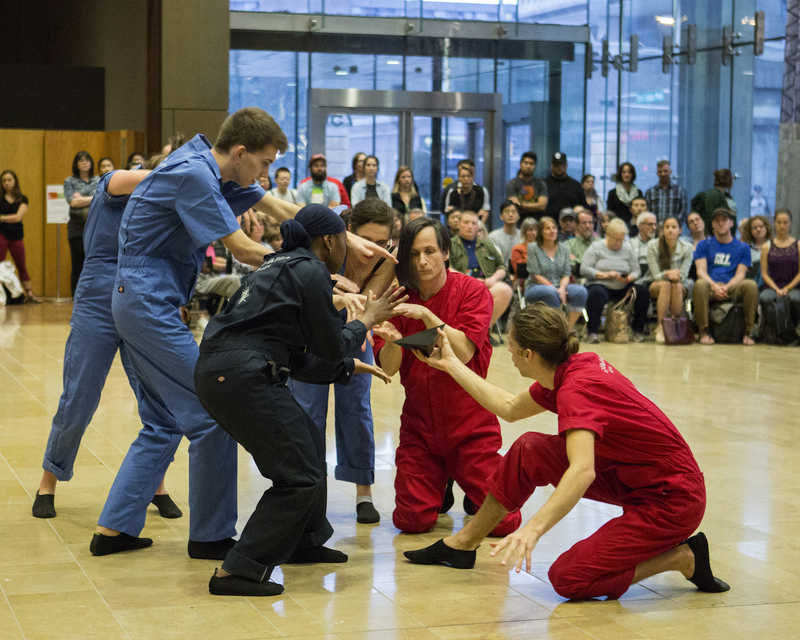 Based on ethnographic studies of improvisation methodologies with the Ewe people (West Africa) and her own background in dance, Dr. Wray has developed and trademarked the practice of Embodiology. A method her students from various disciplines were able to exercise, experiment with, and reapply in the course “The Art of Improvisation: From Phronesis² to the Production of Practical Knowledge”. 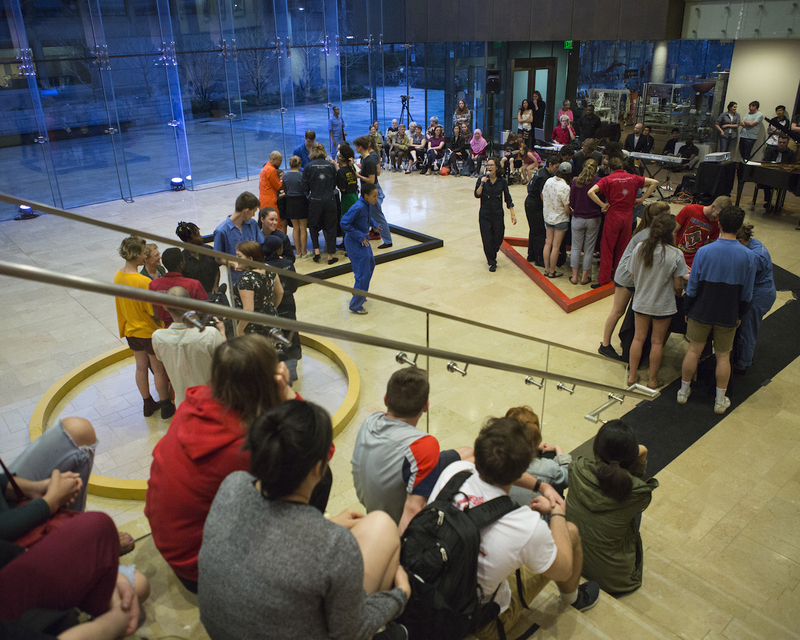 Their semester-long collaboration culminates in tonight’s performance at the Chazen on the UW-Madison campus. The previous Sunday afternoon in the same space, I had the chance to speak to five Embodiologists, just before one of their last rehearsals: Julia Levine (BA in Geography and Environmental Studies), Sean Clute (MFA in Figurative Sculpture), Liam Hutchison (BA in Agricultural and Applied Economics), Sam Douglass (MA Civil Engineering), and Ryan Cray (BA in Geography and Environmental Studies). Is it possible to put this body practice of improvisation into words? 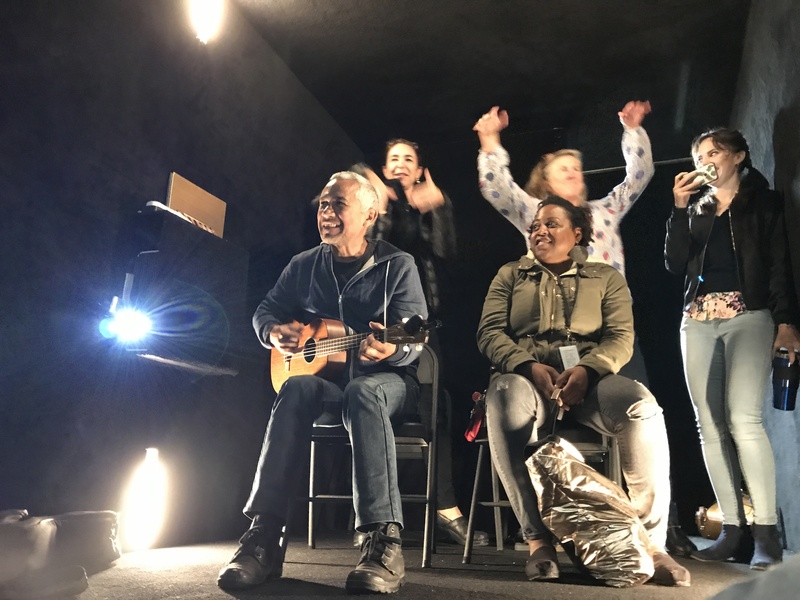 I was curious to learn more about their experience with this project, their thoughts on improvisation, and its impact on their studies and creative work across diverse fields. What were your motivations to take this class? How does your experience here relate to your backgrounds? Sam: I think that Civil Engineering is pretty limited in its scope. I am seeking ways to integrate art into that. So beyond just personal growth, I think that it absolutely has a practical application to a future career of mine. The way that we work with space here will help me better understand how humans interact in a space. And if I am to design a public space that humans need to be interacting and living in, then I need to be wary of what it feels like. Sean: I make figurative sculptures. I came to grad school to change my work. I was a realistic figurative artist. I didn’t have a whole lot of play beyond reality. What I wanted to do is bring in non-representational forms into a figurative, realistic aspect. What I have been able to pull from this class, is a way of feeling things out instead of having it based in logic. It really started, when we did some meditation in class. It allowed me to -- and that’s the point -- to just feel my body, be aware of the room, and clear my head. So, I did a sculpture on that. And I was able to tap into something I’ve never really been able to do before. It’s really helped me think differently. I wanted to have more of a complex set up in my own art. Instead of having an analytical pre-meditated work, I’m actually adjusting to abstraction. And I wanted it to have more of an intuitive feel. Not knowing what I’m doing, going in there and reacting to the material. The improv in the studio is what I’m trying to find. This class has been really nice for that. I feel like it's been leaking into my daily life, to just be more in the moment. Julia: Oh yeah, it’s absolutely leaking into my daily life. Being more conscious of how and where you move through space. It also brings a levity and gayety to life. Cause it’s fun to do, and goofy. And it makes you feel like a kid, and alive. I have experienced that a lot, in every aspect of my life. I feel more comfortable just expressing myself randomly, without hesitation. Could you describe some of the key moments and experiences for you in class? Julia: I remember the first time we all improved [improvised] together as a group, all 20 of us. We were making music and all sorts of things were happening. People were blindfolded, leading each other around the room. Liam and I got in a play fight about something, with him stomping towards me. It was just a total free for all. That’s hard to come by. That kind of total collapse of social boundaries. It just started. Sean: We had a little bit of an experience beforehand and then it just unfolded. Liam: We've done exercises where we’d literally stare into somebody’s eyes for maybe 10 minutes at a time. And emote different things. That's not something you would normally do, not even with a family member. It’s pretty vulnerable. But because everybody is in that space, there’s a lot of trust. How did you, coming from such different backgrounds, find a common language through which to communicate when improvising? Liam: Ama has helped provide a language. During the first days, the exercises we worked on were more directed, and smaller scale. To help us practice sensing ourselves, sensing other people, and responding and reacting in relation. As we got used to being in that space, we were more comfortable communicating there. And then it has built up since. Ama’s role in guiding us to that place where we are comfortable has been pretty essential. We wouldn’t have been able to do it just showing up and trying to move around and make sounds. Julia: Not to be incredibly cheesy, but you could argue that the common language that we’re all communicating with is love for ourselves and each other. I think that is something we all felt improving--when you are really consciously moving with the group and paying attention to other people and picking up on the verbal and the physical cues. I felt it. With people that I don’t even know that well outside of this class. But because we're in this space, it allows us to express ourselves in that way. 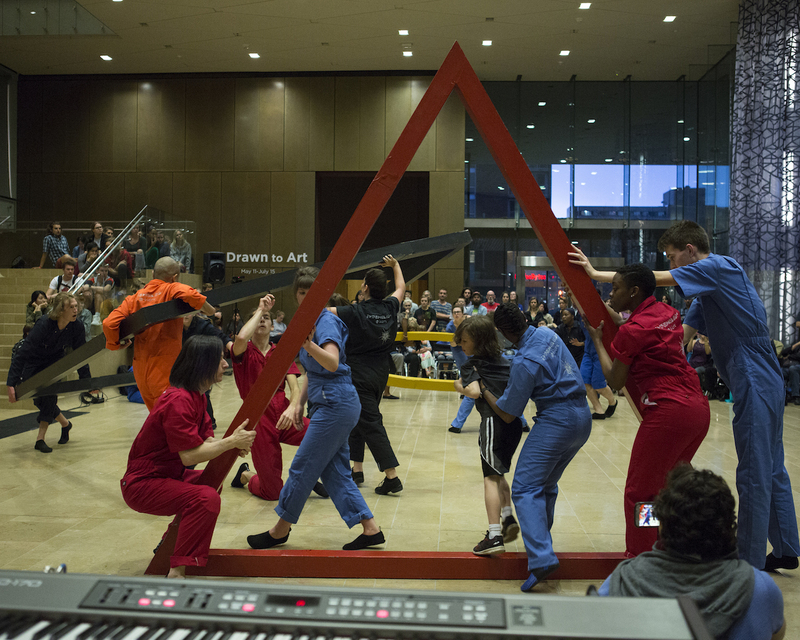 What does improvisation mean to you? How did you think about it before the class and what is your understanding now? Liam: The repetition of a certain motive was really stressed in this class. To let a thought repeat itself until it slowly changes and develops into a new thought. In music making, I am now more willing to intensify one certain motive, and not be afraid to keep that going. In the past, it would be easier to just jump to the next thing. In allowing one idea to ruminate, it’s easier to develop a new song, because you are mastering that one part. Sean: I thought going into this semester that improvisation was just pure creation. But it’s kind of like jazz music, where you have a platform of five or six base tempos, and then you riff off of those. Here too: You recognize the patterns, and then you riff off of them. Improvisation is not just lucky. It’s recognition and reaction. Sam: Before the class I thought creativity was an in-the-moment, “out-of-thin-air” type of thing. 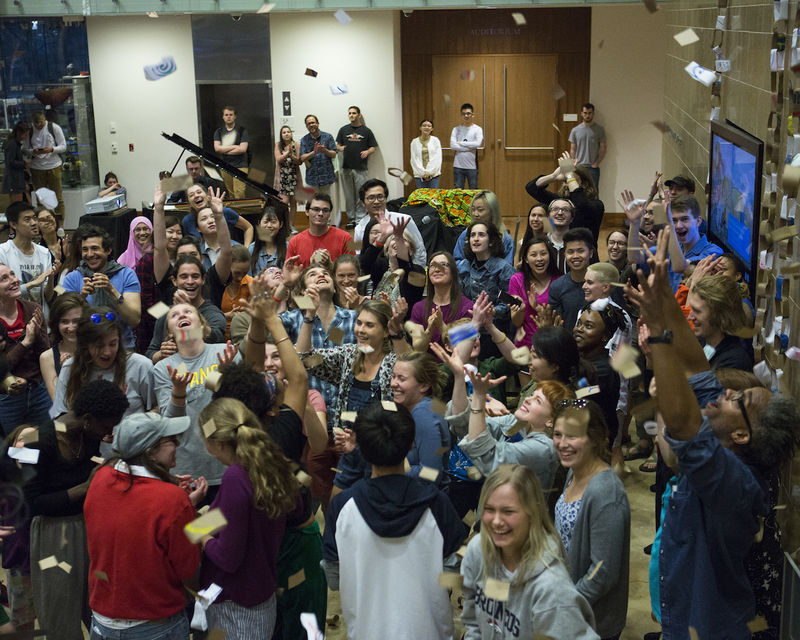 But the class gave me the awareness that you have to invest before that moment of creativity and innovation happens. You have to invest in yourself and know what you’re pulling from. That helps you come out with something that’s more fulfilling, because it’s a part of you that you brought into the world. 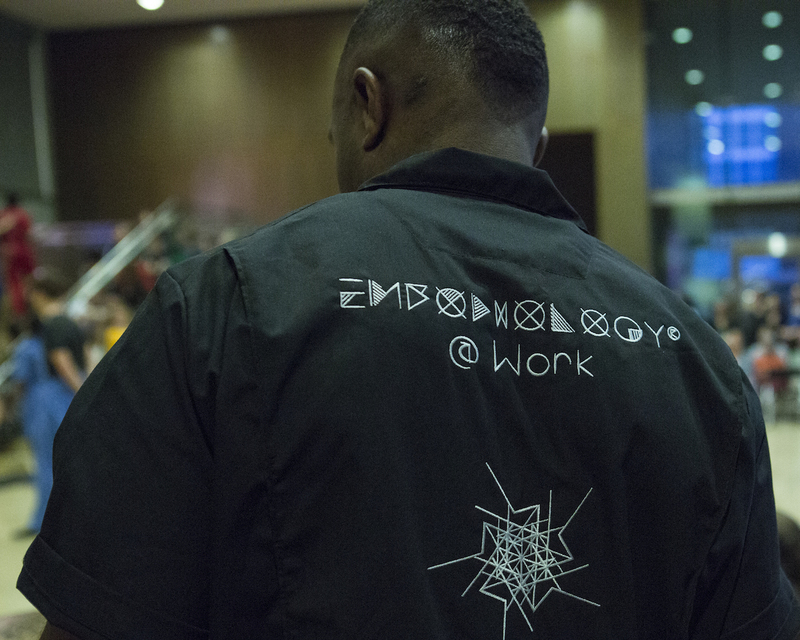 What does Embodiology mean to you? Liam: I was thinking about how to describe it, because it always sounds so incredibly vague. The other day, I was talking to a friend about how conversations work. A conversation takes place in an idea space that is neither in one person’s mind nor the others. You’re collaborating to create the conversation itself, which is not exactly a product of either one of you but kind of its own thing. I think that in this class that's what we're doing. Just that it’s physical, and musical and verbal. By listening to each other, and contributing at careful moments, backing off at others, and directing it towards interesting things, in a very collaborative and dynamic way, it’s kind of a conversation. Sam: Yes, I think it is literally a conversation, where words are not sufficient to fill what you want to say. The best way to express an emotion, is through a movement, or through a sound. They fill in the gaps where words often lack. Sean: A fundamental idea in this class is “fractal code”: Understanding and recognizing pattern. I feel like that taps into everyday life. Being able to recognize pattern in your own life, and then being able to break them in some way. That means you can make those patterns your own. Or echo them. That’s what a lot of the practices we did in this class were about. Sam: Yeah, it's like a life practice. It takes time. Dance is one part of it. But it’s not a dance class. It’s a listening class. They should have had a listening class in the curriculum. And so, this collaborative, participatory, embodied conversation unfolds. I can see call and response, fragments of stories, movements, images and repetitions, contagiously involving more and more of the audience. 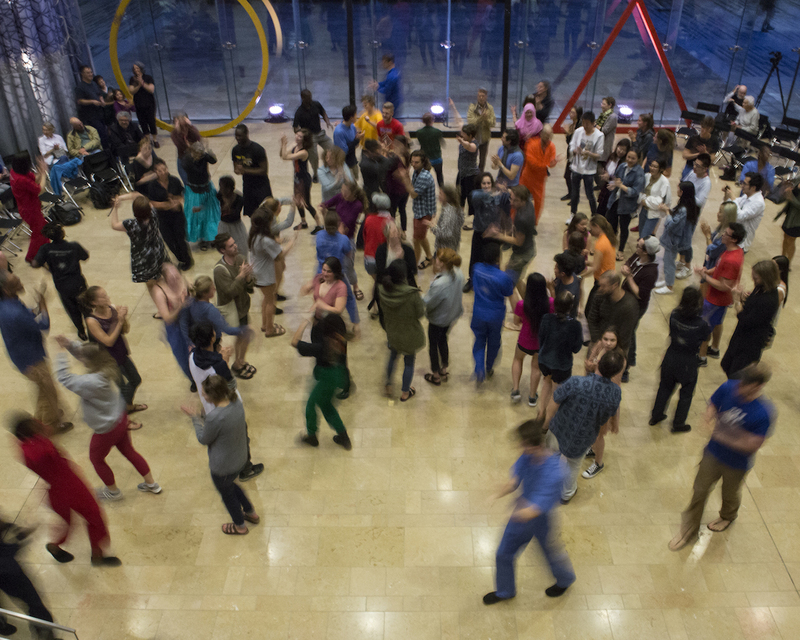 Until finally, all structure falls together into one great party at the Chazen. A celebration of… what? Life, love, movement, expression, creativity, human connection? You be the judge. Video by Vivien Ahrens, Premier Performance excerpts posted to Emergent Art Space on Vimeo. commitment, as an action researcher, to return a royalty payment to the Ewe community in Ghana. Through artists and everyday people, deep knowledge is revealed each time its principles are shared. 3.For additional previous events visit: go.wisc.edu/wray. 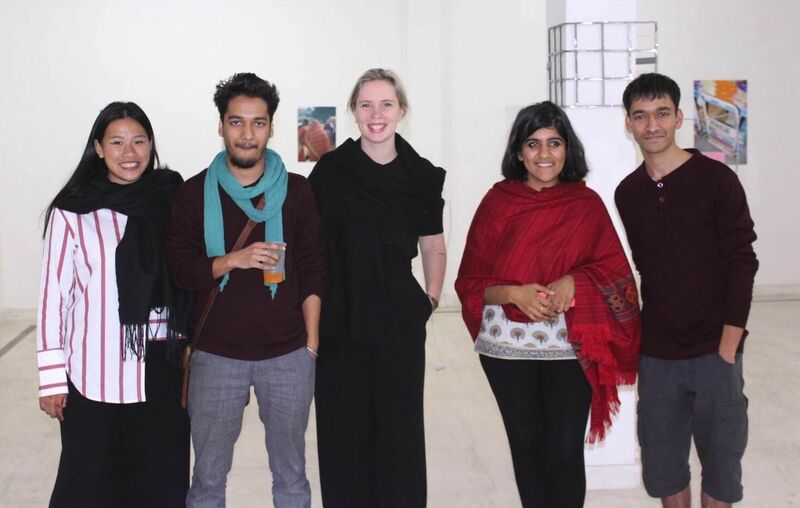 During the Building Bridges exhibition in New Delhi, last February, Sonam Chaturvedi and Tatjana Henderieckx joined with three other artists, Charlot Van Geert from Belgium and Priyank and Priyesh Gothwal from India, to put up a new, experimental exhibition, sharing ideas, drafts, projects, and showing them to the public. Happenings are of the everyday, performances of the here and now; an unceasing cycle of continuities and discontinuities is a moment, an event, a happening. Like the layering of text to reinforce drafts to finalize a piece of writing, or like the dressing of an armature, the First Draft, an exhibition of works in progress, decided to expose its unfinished contradictions, abandoned ideas, past experiments, unscripted compositions, and shifting thoughts, overshadowed by the speculations and improbabilities of the maker. Like the temporal disposition of all occurrences, this happening popped up one evening and withdrew the next, appearing only to those who risked to negotiate through the busy IGNOU road to view it. 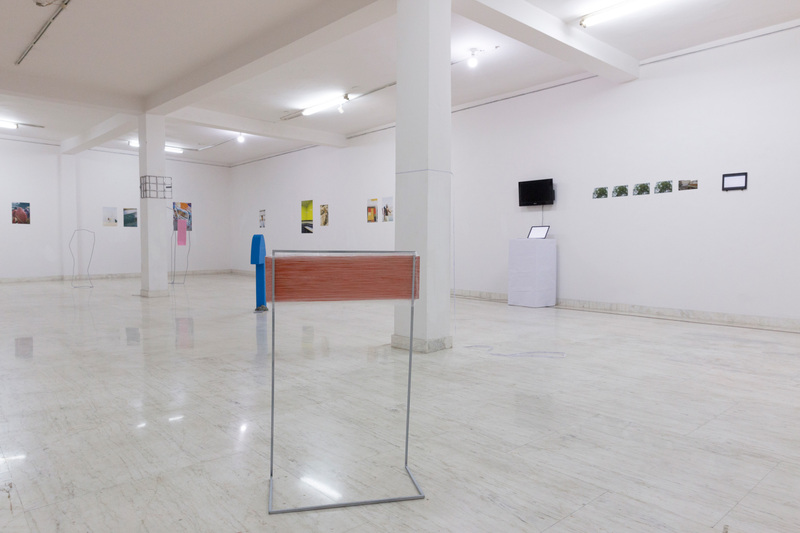 While Ushmita Sahu was curating Building Bridges -an international digital alliance between thirteen young emerging artists from across boundaries, with the generous support of Emergent Art Space, the show reflected on the consequences of a globalizing world. Two artists already participating within this project along with three others, began to ideate in a parallel capacity and spontaneously decided to put up a show, curating the space as a collaborative response to each other’s thought processes. 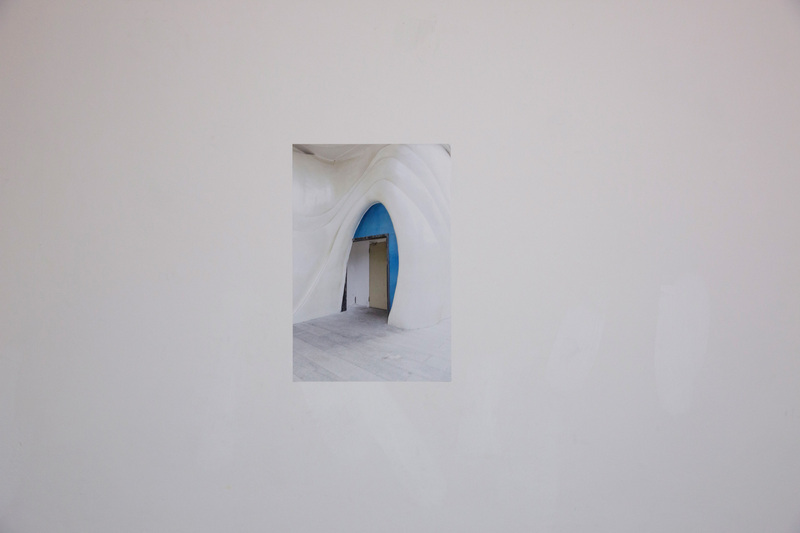 The site-specificity of some of the works, foregrounded the binaries of space and installation participating within one another to impart a spatio-temporal experience. As a humble guide to the spectator, titles, tags, labels and details were retained within copies of hand-drawn maps of the floor-plan with approximated locations of the displays on site, yet prevented her/him from limiting her/his imaginings to accompanying instructions. The injected sense of incompletion to the display provided room for multiple approaches to observation, interpretation and imagination. The instantaneous dismantling of the show regards the temporality of a work in progress, the immediacy of gestures and the materialization and dissipation of ideas. The space is primarily consumed by two-dimensional planes, of photographs and screens, but for Charlot’s sculptural objects. 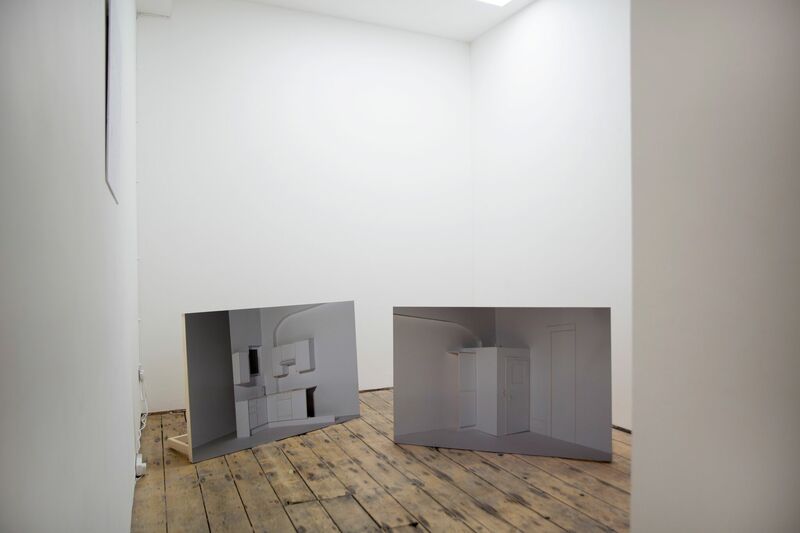 These installations defined through outlines and flat planes with the use of wood and metal, convey a sense of reflected summaries and semblances of the photographs displayed across them. 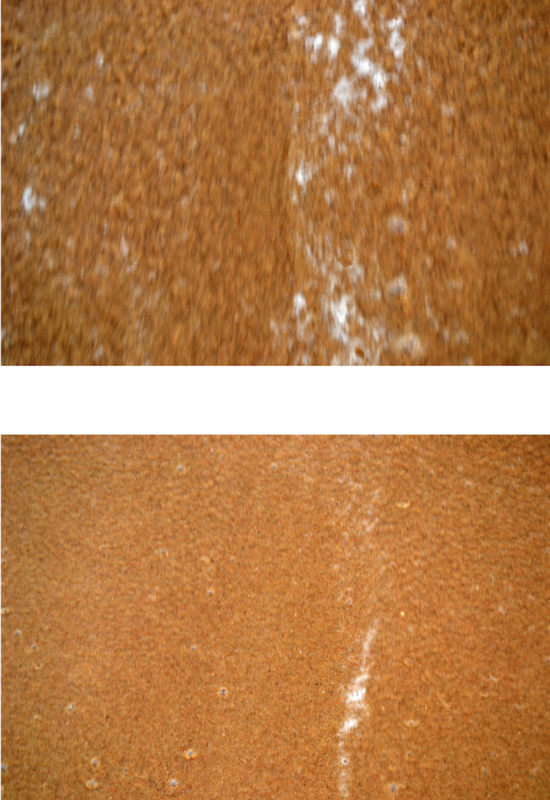 The unmouldable materials of metal and wood, susceptible to damages, retain marks and scratches in their physical fabrics as irreversible wounds. For Charlot, these very marks is what gives the object its former character, a new identity, and embracing these mistakes is her contribution to a happening and a constant becoming. Tatjana has a story to tell with every still she captures, where she configures the everyday mundane, repetitive contours with suggestive impressions. Capturing the animate and the inanimate in an interworking space of communication, Tatjana and Charlot persistently respond to each other’s works by collaborating to find meaning through the existence of the other. Could Charlot’s be a reference to the materiality of a past as a vague remembrance that is all that remains in space and time, as an intangible fading thought, or the recovery of a blind memory, with reference to Tatjana’s photographic compositions as fields of instant visual awareness and impression? In an oneiric state of occurrences, her flickering, intermittent thoughts within busy traffic-infested neighborhoods, are translated into poetry. Physically undeterred but mentally strained, a long string of unmatched text is wrapped around a pillar with one end hanging loose on the floor. The viewer is necessitated to pick up the loose thoughts, stretch them as she/he pulls away from the pillar to a corner of the room, to read and relate to them. The resounding of the cacophonous outside within the calm interiors while clutching onto a string of evidential text in hand, stagnates the performance of the reminiscing spectator. 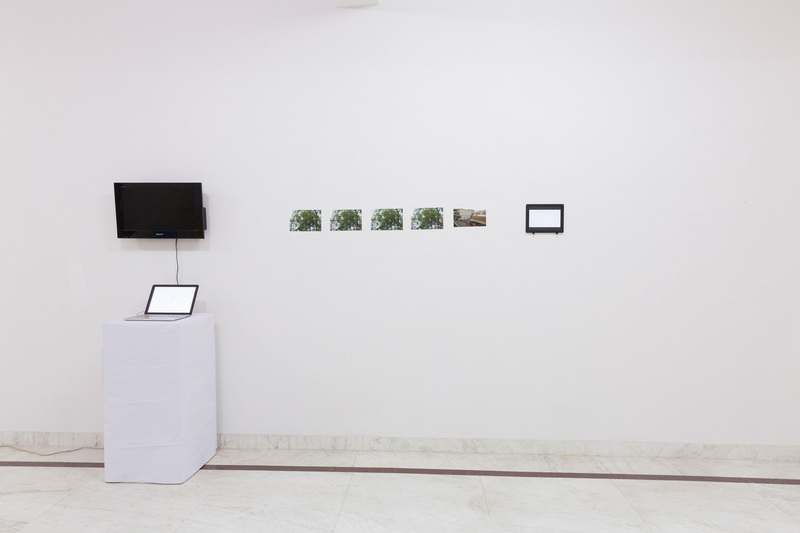 Priyesh and Priyank in a collaborative effort bring to knee-level display, strips of photographic visual narratives incorporated with text as fictitious subtitles. 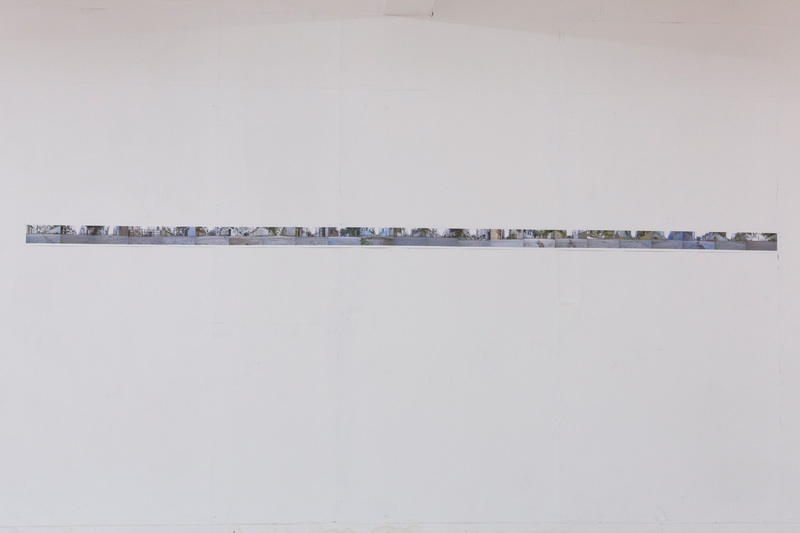 Individual stills of landscapes as images in themselves are stitched together or superimposed to generate broken, yet linear panoramas as if captured from multiple points of view from a speeding means of transport. With the camera sometimes subjected to unsteady perception, the resulting fragmented parts deceive the idea of a single linear landscapic narrative, but is held together with the fictitious subtitles to create a whole. 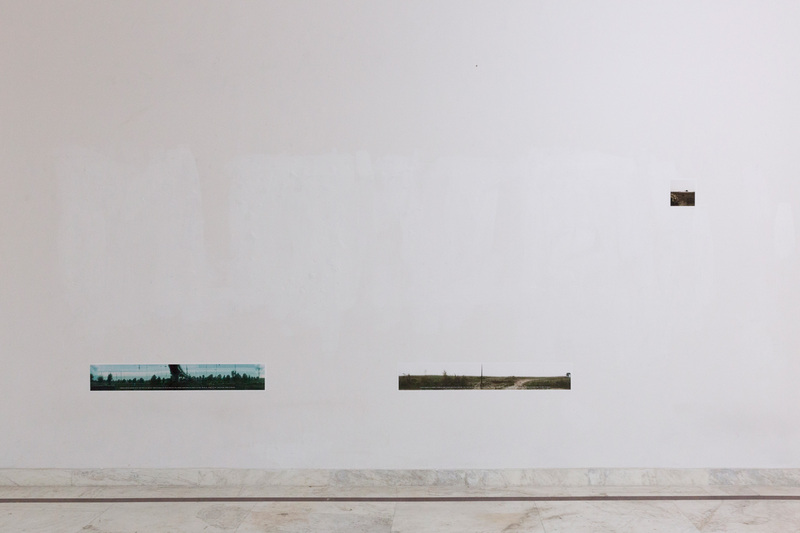 The display of these horizontal formats at a lower chapter of the wall induces discomfort in the spectator as he sweeps across the length trying to view the exhibits. The artists see this as a process into performance initiated by the position of the work and executed further by the spectator himself. 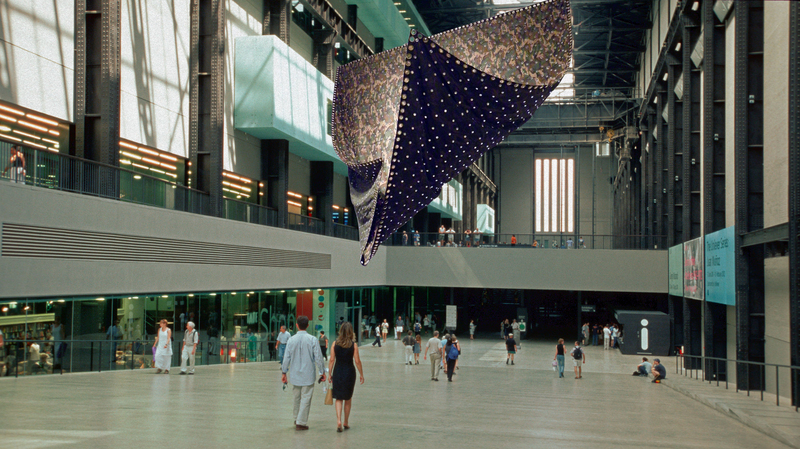 To experiment with works in progress was to further the idea of constant configurations and disfigurements to a work of art, to be able to expose a process in order to gather viewer-responses and assessments, as references before the making of a final work of art - which it cannot really become if it is involved in a cycle of a constant becoming. The forthcoming stages of progress will be a post-First Draft project, with the energy of such impromptu pop-ups undoubtedly pushing the young artists to challenge the conventional structures of exhibitions and displays: experimenting with equally prompt ideas itself converts these exhibition spaces into larger art projects. The show was constantly balancing between the aspects of the curated and the uncurated, allowing the artists an encounter without mediation. The arrangement of the works and the execution of the show in its rawest form found interest in the minds of the viewers, generating dialog within the transient of the happening. Shalmali Shetty has a BVA in Painting and Printmaking from the Faculty of Fine Arts, MSU Baroda (2015) and a MA from the School of Arts and Aesthetics, Jawaharlal Nehru University, New Delhi (2017). Concurrently working in technical art capacities and writing about art, she intends to coalesce her practice and theory in the production of the curatorial. She is a contributor for Bigart, Artdose and TAKE on Art Magazine, among others. 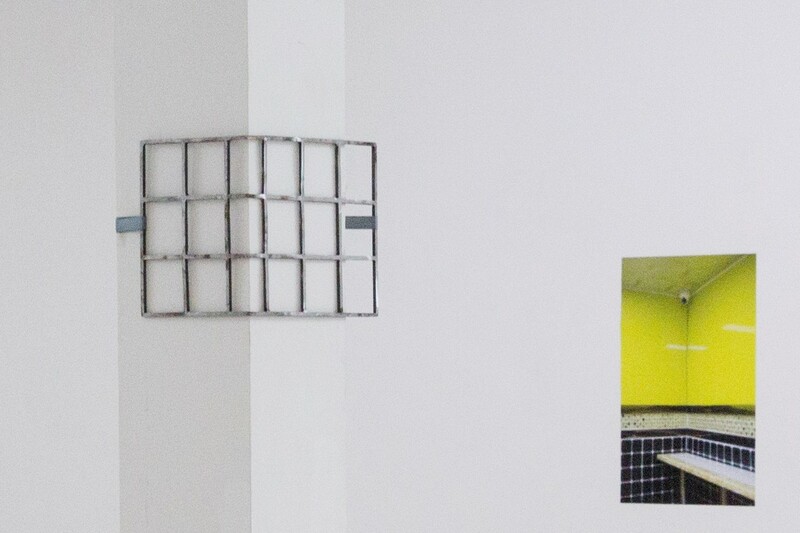 Four young London-based artists’ leap into the world of professionalism with the planning and development of their own group exhibition, 'Counterfeit'. Early in the morning, I peer through my computer screen into a small bright space with white walls, where four young smiling faces huddle around to fit into their afternoon picture. The image freezes and our jokes crack, as we try to brake the digital ice and bridge the time difference between us. Slowly, the conversation picks up speed and I begin to gain a sense of this group, their energy, close-knit relationships and ideas. 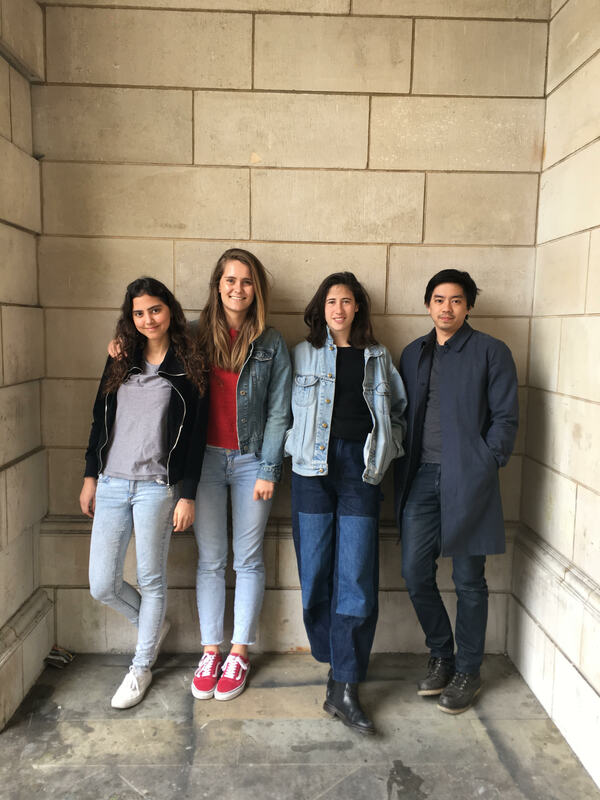 I am skyping with Amelie McKee, Ambar Quijano, Heyse Ip and Florentine Ruault – four London-based emerging artists, all on the verge of graduating from Chelsea College of Art. 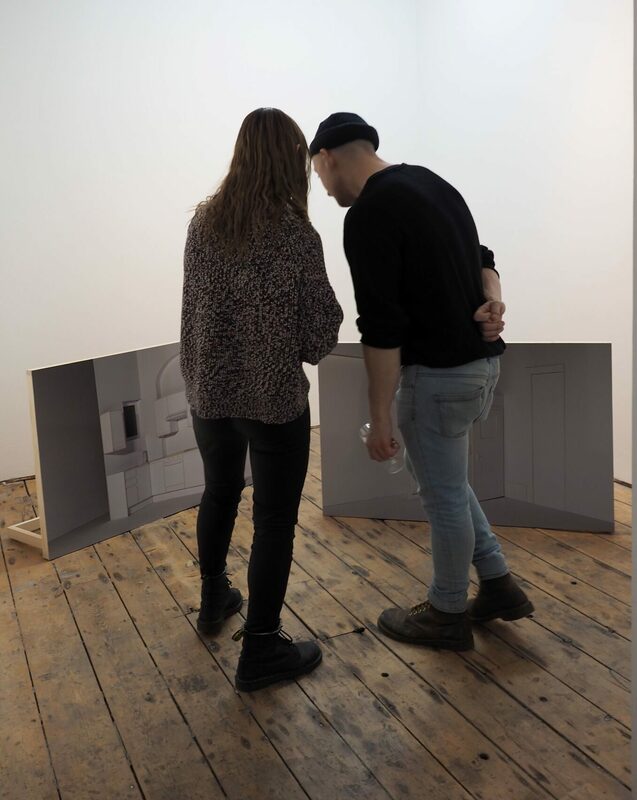 Over the last year, they have been collaborating for their most recent gallery show: “Counterfeit” – which could be seen from the 6th to the 17th of March 2018 at the Bermondsey Project Space. 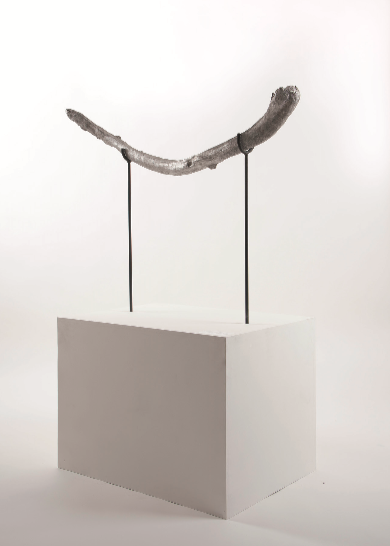 Ambar Quijano and Amelie McKee, «Untraceable Origin #56» 2017 Aluminum cast, wood, and steel, 60x125x150 cm. As first-years at Chelsea, Amelie (b.1996, France) and Ambar (b. 1995, Mexico) bonded over their “love for making things”, including welding and constructing their own kiln underneath a bridge at the Thames river side. It was here that the Thames’ many myths first triggered their joint fascination for storytelling and media representation. Especially one tale intrigued them: The massive media coverage and contradictory reports on a whale that was stranded in the Thames and died. 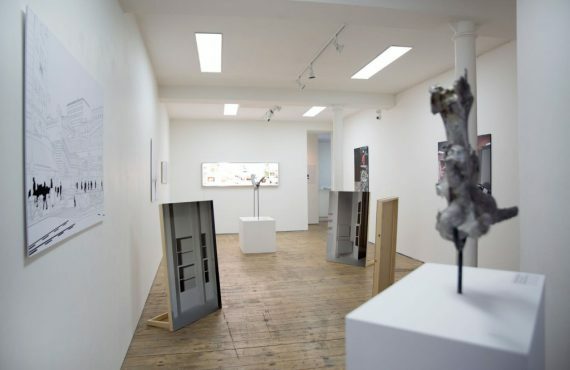 Their work ‘Replicas of Bio-structures’ plays with these different versions of truth and media representation, as well as incorporating “real” and “false” found objects from the Thames riverbed. Florentine (b. 1996, France) explores a very different kind of alternate void. 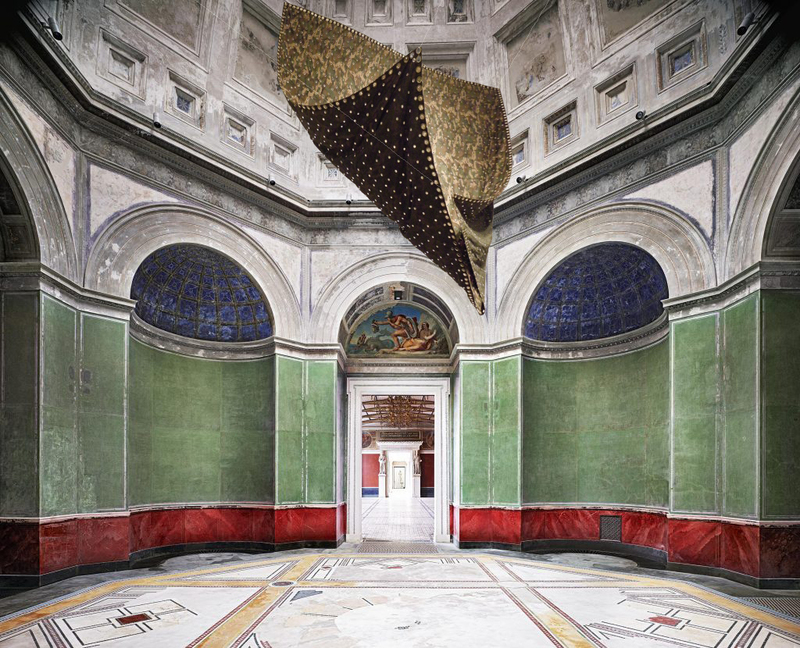 By photographing cities of the world, stripping them from all color and culturally relevant detail, she produces digital drawing in black and white, drastically exaggerating as well as revealing the homogenization of urban landscapes. I am fascinated by this passionate bunch. As young artists on the verge of graduating, I ask how they brought this exhibition into life, outside of the familiar university structure. After an hour of lively Skype conversation, I close this window into one of London’s emerging art spaces. I am impressed by the perseverance and level of reflection of these four. Congratulations on this major project. We hope to see more from you soon on EAS! Vivien Ahrens, a young writer and reporter for Emergent Art Space, is a cultural anthropologist from Munich, Germany, now working as an educator in Madison, WI, US. 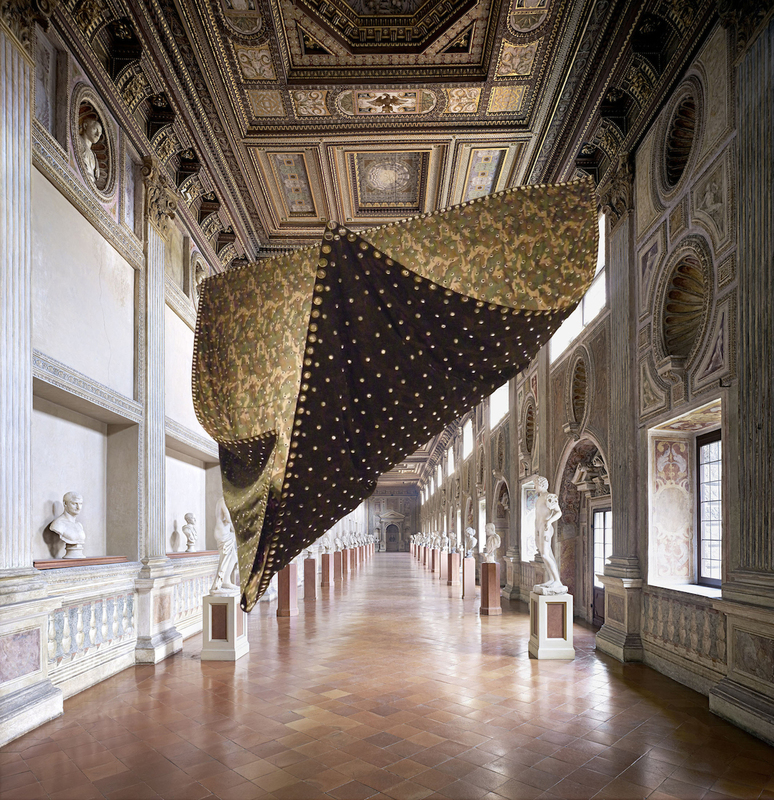 Join Pakistani artist Imrana Tanveer on a tour around museums of the world, where her handsome tapestries are virtually hanging from the ceilings of the museum halls, in her work 'Construction/Deconstruction: The Work is Present'. I am so pleased and thrilled to present my work ‘Construction | Deconstruction: the Work is Present’, which was exhibited in the very first Karachi Biennale, curated by Amin Gulgee, that took place in October/November 2017 . ‘Construction | Deconstruction’ was conceived as a two year tour exhibition in several galleries and museums in USA. 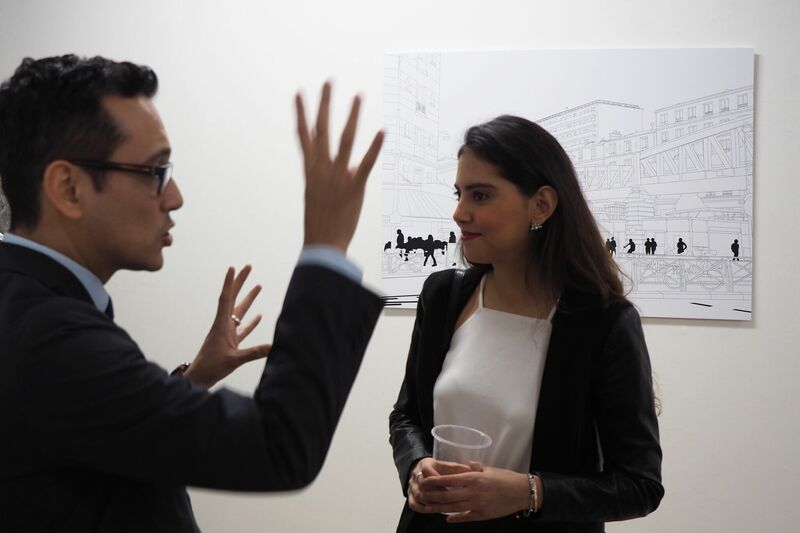 The curators of the exhibition were Imran Qureshi and Saamia Ahmed Vine, and the US organization that was involved in the promotion of the tour exhibition was International Arts & Artists. The project was in planning and fund raising phase since 2012, and the tour was supposed to take place between 2017 and 2019. It has unfortunately been cancelled. Were there specific reasons for its cancellation? Only what we received from the director of International Arts & Artists, David Furchgott: “Despite receiving initial interest and investing all our best efforts, we were unable to get a single American museum to make a firm commitment to host the exhibition. Those few museums which were interested, but not committed, could not fit it into their budget or schedule”. 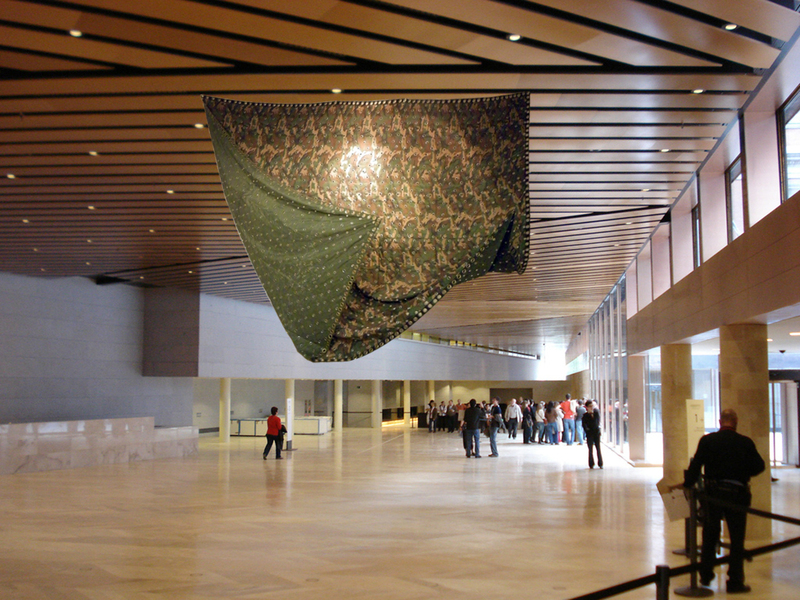 We love the boldness and courage of your project: your beautiful tapestries hanging in museum halls around the world. 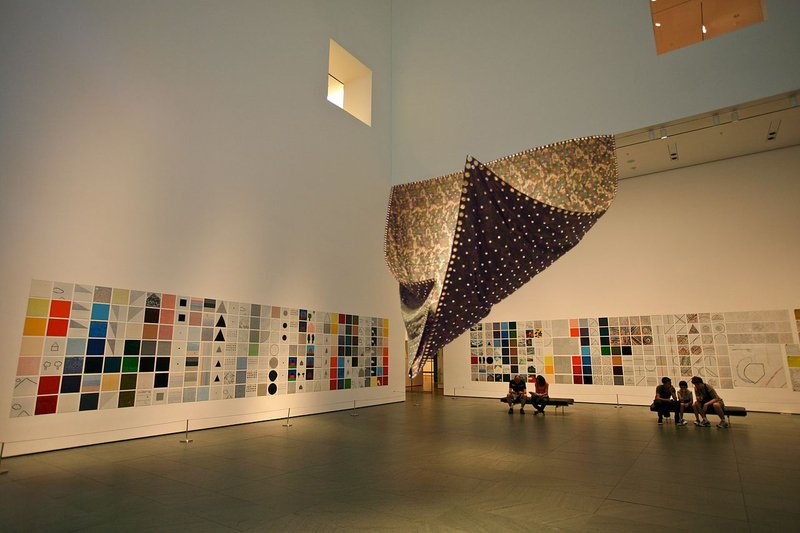 Your project is a wonderful example of art that crosses borders and boundaries, that infiltrates through the thick walls of both old and new museums, bringing inside the textile artworks of a young Pakistani woman, crossing cultures, genders, and generations. What was the inspiration behind your work, and behind this project? After the cancellation, I proposed my work ‘Post Betrayal’ to be re-titled ‘Construction/Deconstruction: The Work is Present’. It was displayed at the Karachi Biennale 2017, and it was the same work that was supposed to tour in the US but was rejected: it shows my works displayed in different museums, both in the US and in other capitals of the world. Given that the tour exhibition was not going to happen, the idea was to showcase the work through social media, tagging those museums and galleries on Facebook, Instagram and the other social media. 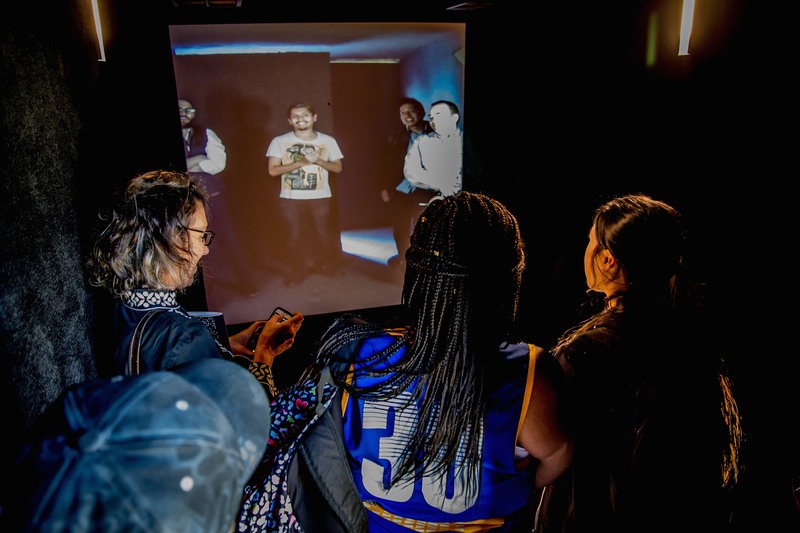 As the world has shrunken to become a ‘global village’, and every thing is just a ‘click’ away, the idea of the tour exhibition could be redefined into a virtual tour exhibition, i.e., the art in the age of digital, technical and virtual reproduction. 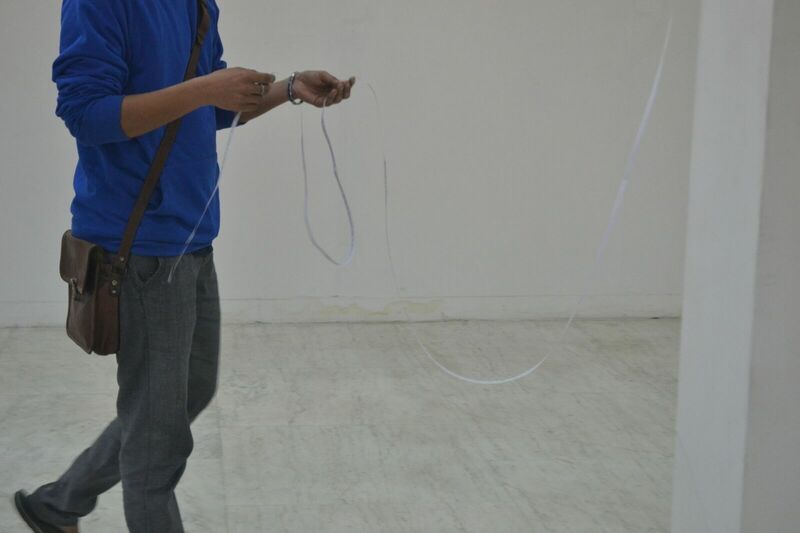 It seems like, with the right lighting, you could see dots of light on the ground or walls of the rooms. Have you intentionally left holes in your hanging fabrics? With specific meanings? Yes, they are actual holes! The earlier work was developed after I purchased the camouflage fabric. The market from which I bought the fabric used it to make canopies for shelter from the sun and to cover goods on trucks in bad weather conditions during transportation. The parachute camouflage is also used for tents. I wanted to use that canopy, and the process of punching holes by overdoing and repeating the process of punching rivets numerous times: thousands of small metallic rivets punched on camouflage tent representing bullet holes. The purpose of the tent is to protect and provide shelter and the rivet is used to strengthen it, but the overdoing of the punching changes the purpose. I wanted to represent our own behavior and attitude towards the safety of the state and borders. 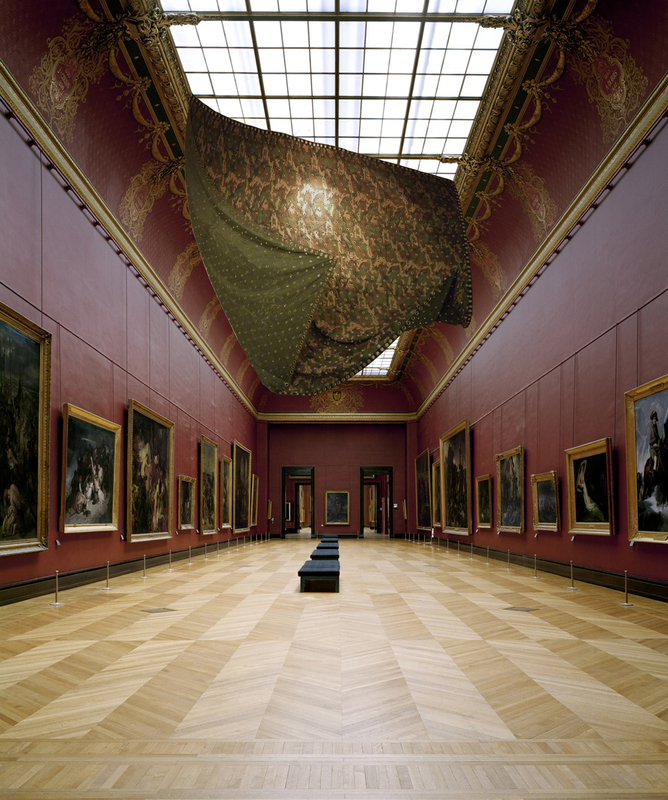 While the recent display questioned the idea of art practicing, interactivity and commentary on ‘definition of arts’ as norm, it may create a new conceptual understanding and combination of different techniques, production and display methodologies. 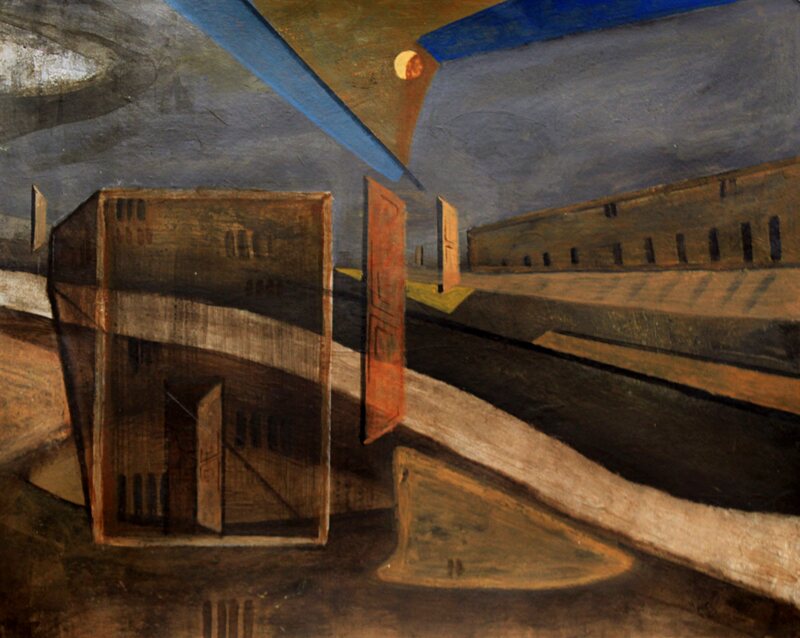 What is the meaning of the name you have given to this work? ‘Construction | Deconstruction’ refers to the cancellation of the tour exhibition, to the tremendous amount of time and energy that invested in it and then wasted. 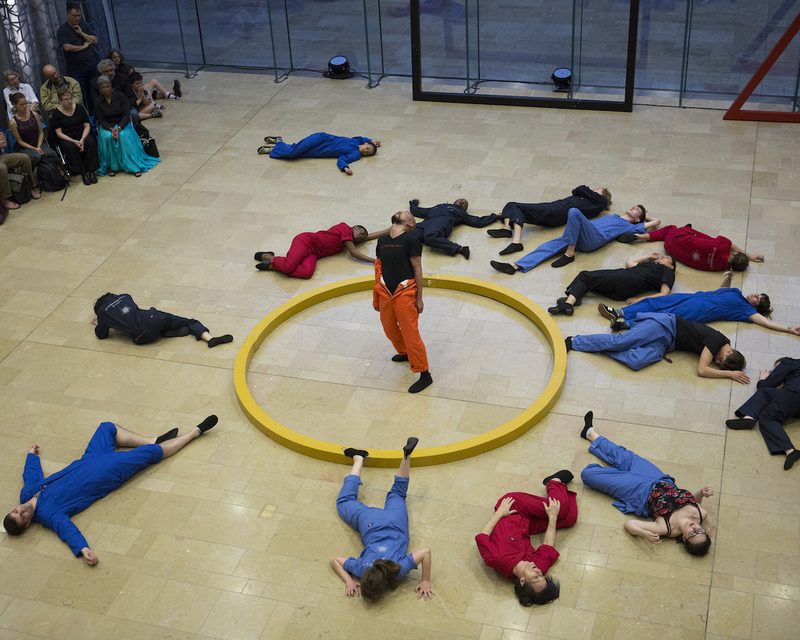 ‘The Work is Present’ was inspired by Marina Abramovich’s ‘The Artist is Present’. Even if the tour was cancelled, the work is still there. Do specific museums have a connection to the meaning of your project? I firstly thought of presenting the work only in U.S. museums, as it was planned for the tour exhibition. But while discussing the idea with the chief curator of the Karachi Biennial 2017, Amin Gulgee, I decided to add other worldwide museums/galleries, to expand the idea further and let the work go round and square. You mention that your work is also intended as a commentary on normative definitions of art. Can you tell us more about this? It is commentary on art practice, on the tremendous amount of work, time and care put in realization and conceiving of the project. This is also to illustrate the mêlée an artist goes through for galleries and museum representation. Do you think that in our contemporary age we need a new definition of art, or should we do away with attempts to define art, normative or otherwise? It is always tricky to try to define what is art, and what is not. We need to scrutinize its definition through time, culture, history and representation. The concept of evolution can be very helpful here. The definitions and the practices of art keep evolving. 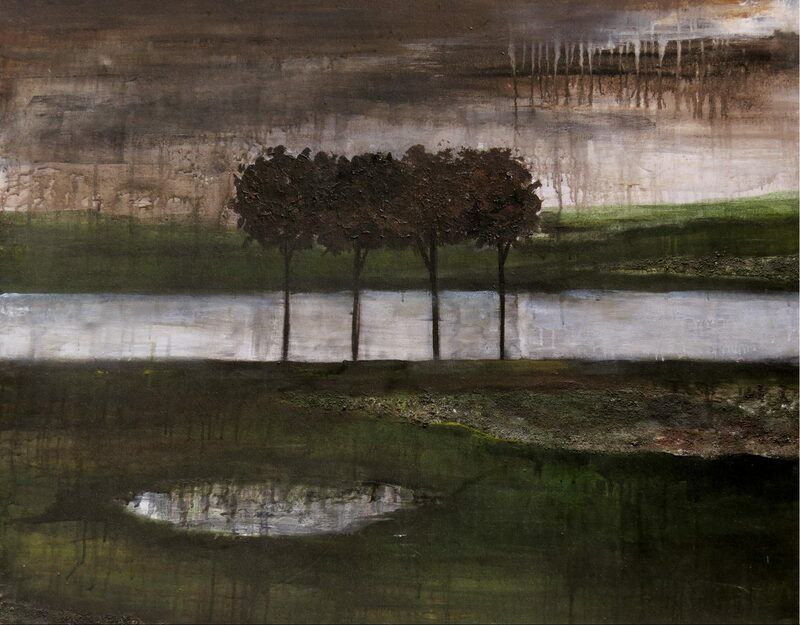 New Delhi artist Sonam Chaturvedi shares the inspiration, process, and meanings of her artistic practice. We are happy to publish it here, courtesy of the Utsha Foundation Blog. 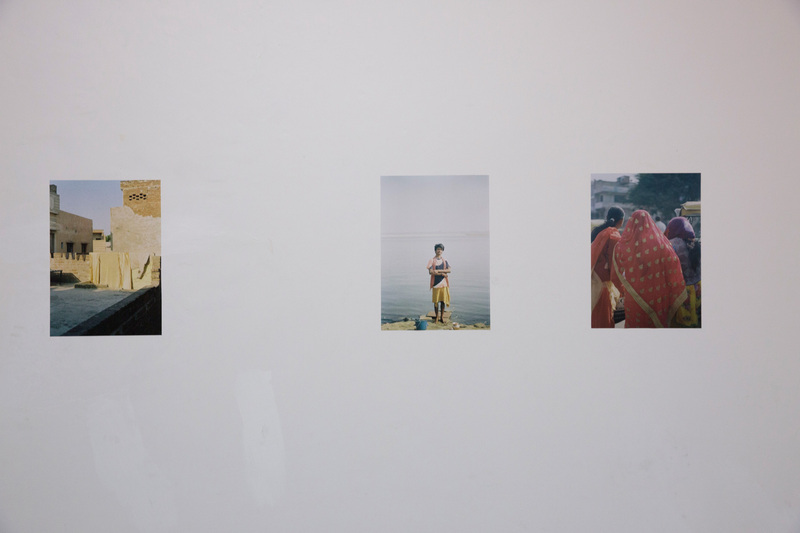 Sonam's work 'Time, Thoughts .... Incoherent' has been part of the Building Bridges three-city exhibition, and it is still in view at the Gallery Sumukha in Bangalore. At last I had to throw the orange, it started decaying. But I bought more to carry in my bag, as there was something missing, the bag weighed lighter and I didn’t like the emptiness. 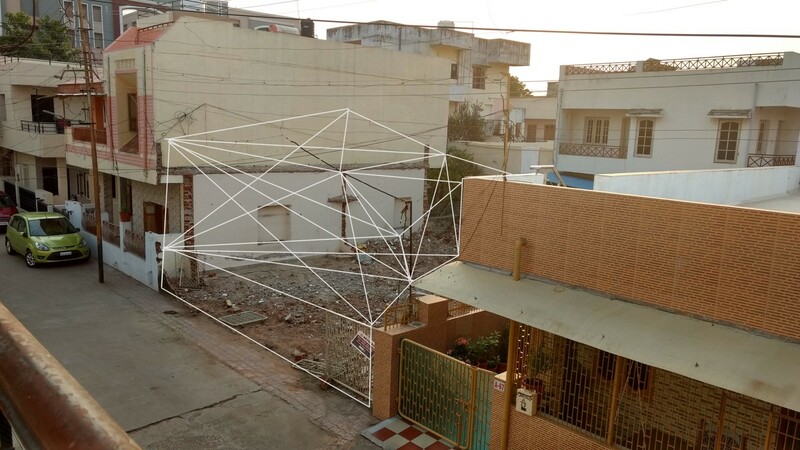 This article is primarily about my practice, and touches on some personal thoughts and everyday experiences which stimulate my works, including the work I did in the residency at Utsha. 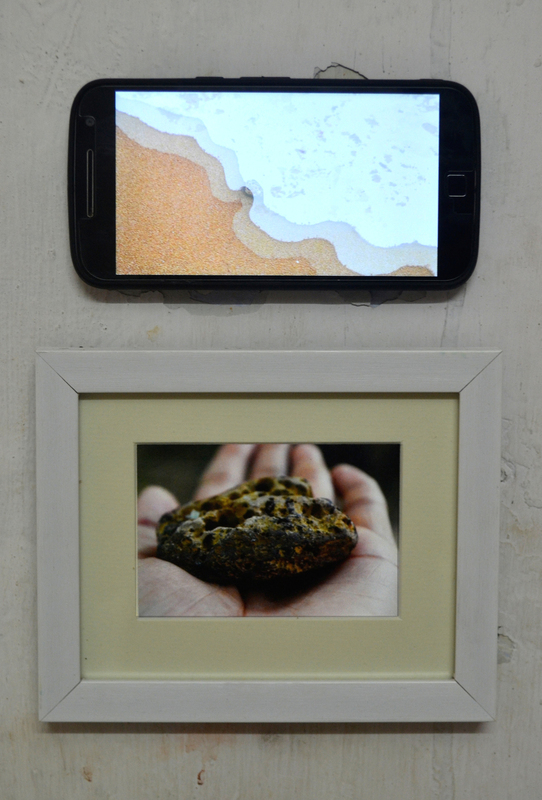 The above images are of an impromptu installation at a group show at NIV art gallery, New Delhi. I had used the above poem for this work, which is an echo of my daily struggles and journeys. 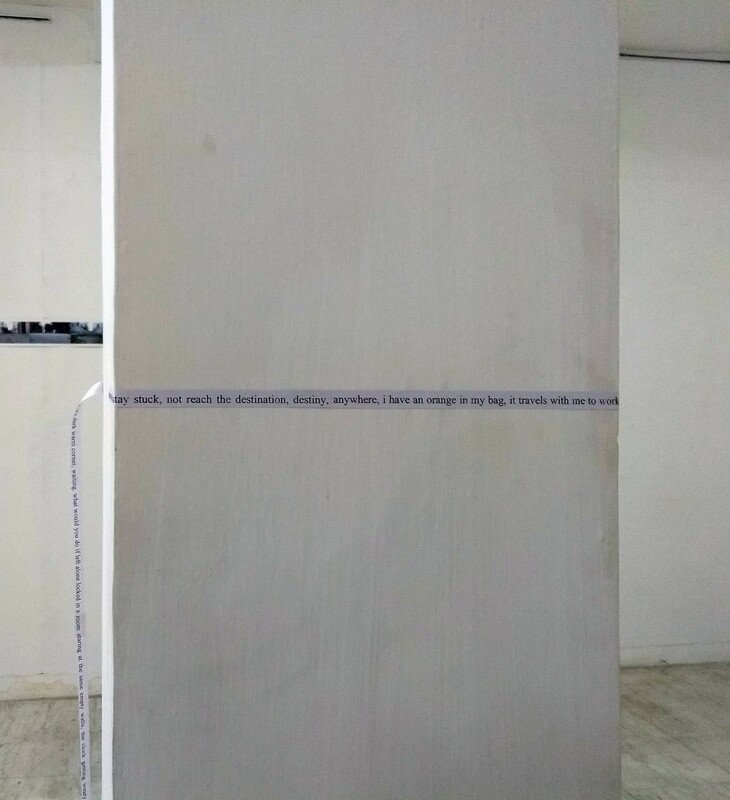 I installed it around a pillar as a never-ending stream of thoughts portraying the journey connoted in the poem; there is also a performative act at play while viewing the work. I was once confronted with the question: what do you do in life apart from art making? I didn’t understand the question then, and even now I don’t, because everything I look at, I do, I’m constantly thinking in terms of expressing myself through art. When I was in Mumbai for a residency, every evening I would walk two miles from my studio to bandstand, aimlessly wandering, just to touch the ocean and catch a glimpse of the drowning sun. 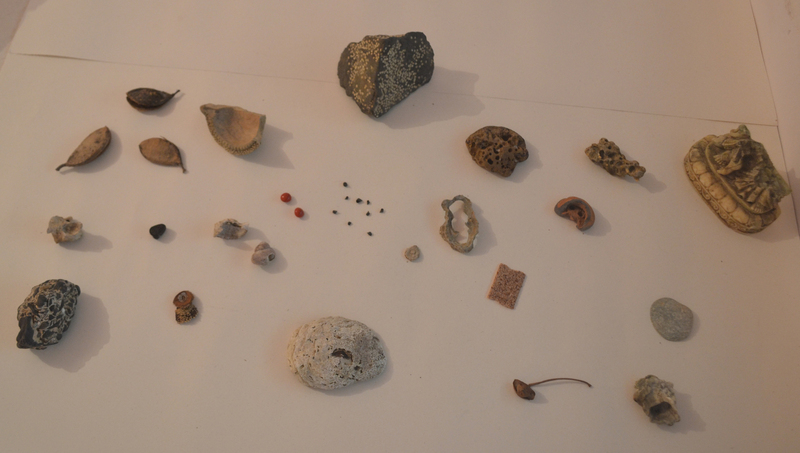 I would always return with my pockets filled with random objects thrown by the waves for me. 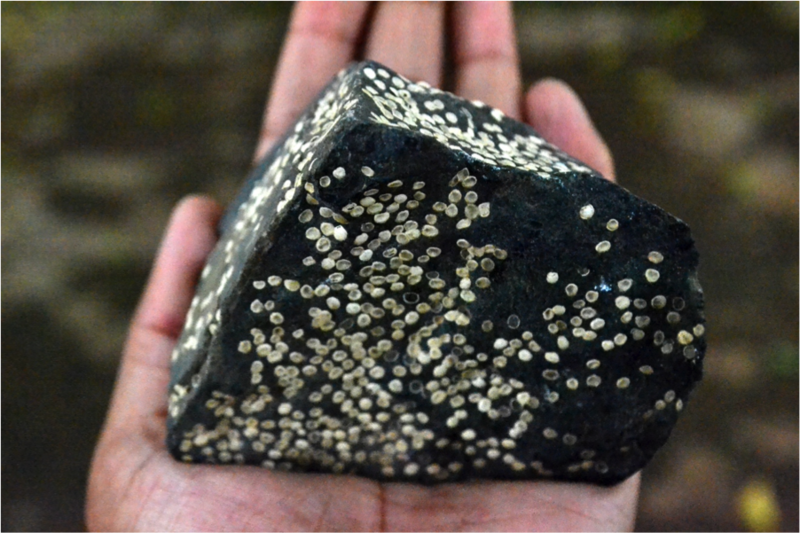 At the end of the residency I had an accumulation of sea shells, broken terracotta, marble icons of gods and stones studded with sea animals which gave off a rotten smell and lingered for a very long time in my pocket. I was unsure at that time what I would do with this small museum, but during the transition from Mumbai to Bhubaneswar my ideas also travelled, and I brought this carton of objects with me to Utsha. It took sometime to unpack the ideas, but eventually the memories attached to these objects slowly consumed the whole premises of Utsha. diary entries which remind us of a certain event in the past and how much we’ve changed through time. The display was done to create an experience of finding the works or chancing upon them, just the way I had found these objects. 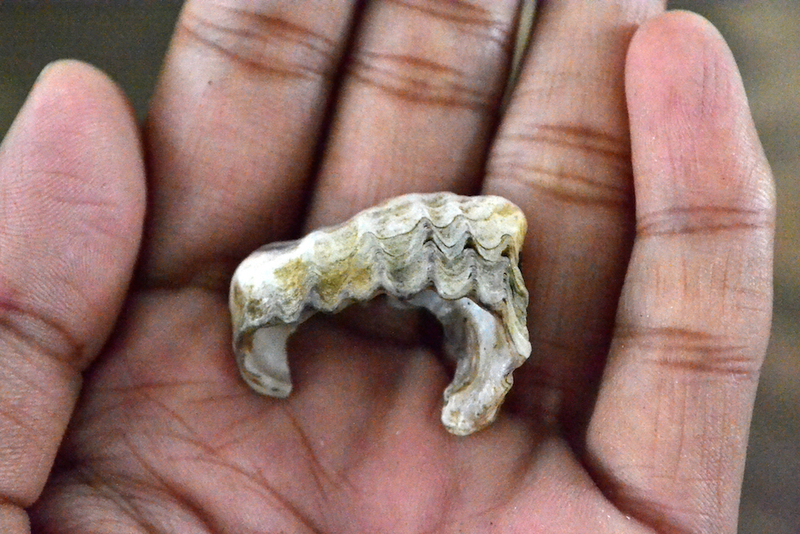 There is a memory attached to each object which makes it valuable and personal to me. 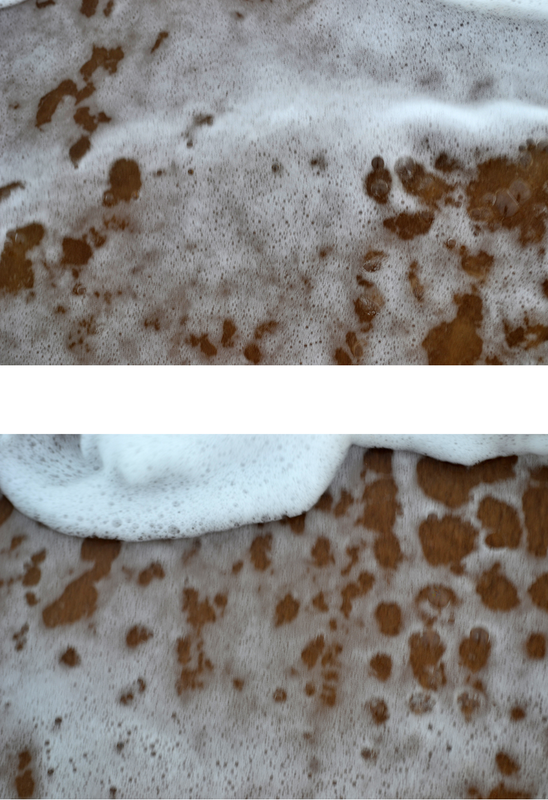 This work is about leaving these objects back in nature but at a different place, and in exchange gathering something to mark its departure, which includes another object, sound, thought, impression, photo, video, et al. Lost and Found Memories is a series of exchanges which do not cease with time, since it is intrinsic to me and my obsession with collecting. The work is progressing with new objects collected and left, to collect further. 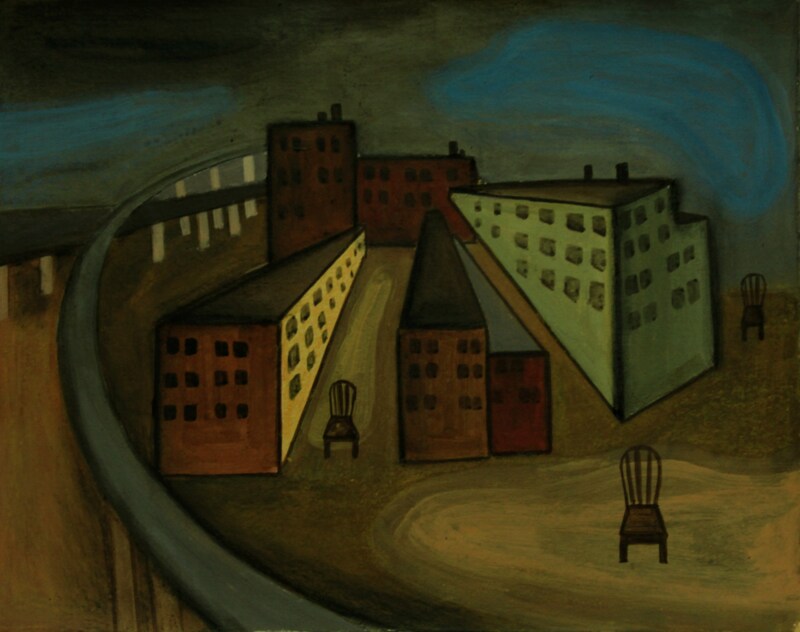 Sonam Chaturvedi (1991) is a visual artist living and working in Delhi. 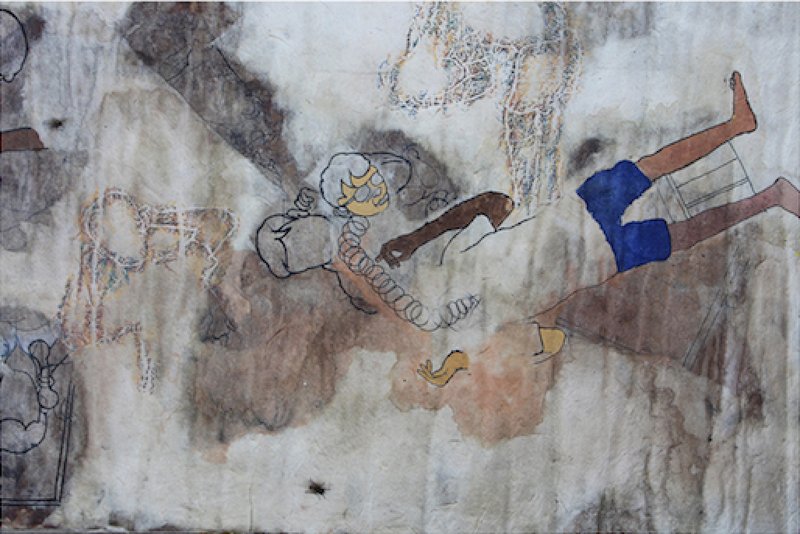 She has participated in various group shows and residencies within India, including residencies at What About Art?, Mumbai; the Utsha Foundation for Contemporary Arts, Bhubaneswar; and group shows including a show curated by Meera Menezes at Bikaner House, Delhi. She has been an active participant in the Building Bridges project and in the three exhibitions, Kolkata, Delhi and Bangalore, that have marked the conclusion of the project. Pakistani artist Ammar Faiz is sharing here the videos he produced for his Master Thesis in Visual Arts at the Beaconhouse National University, Lahore, Pakistan. 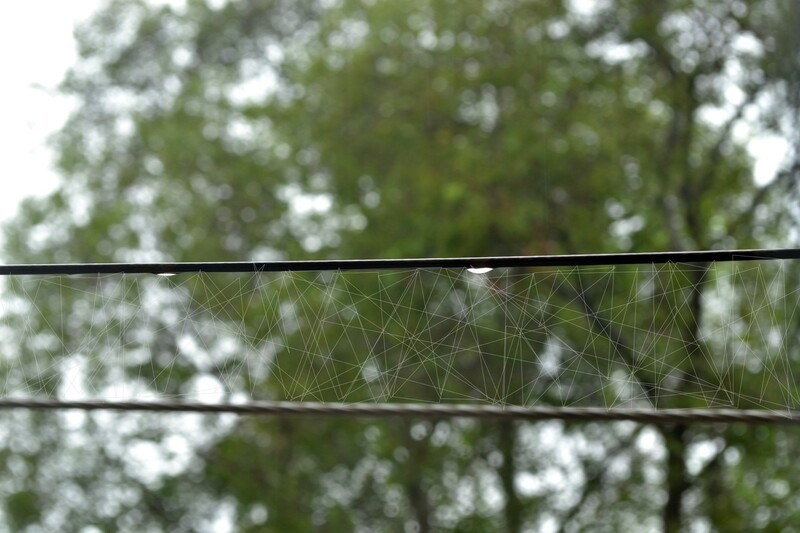 'Bandar Qilla' by Ammar Faiz from Emergent Art Space on Vimeo. My work addresses the adaptation of human behavior to the changing roles of the viewer and the viewed. I focus on the daily lives of ordinary people in my immediate surroundings, and in the process I record the evolution of their comprehension of personal and public spaces. To that effect, my work hinges upon the sociocultural anthropological approach, which compares and correlates people and their surroundings, and explores the ways they make sense of it as narratives. My research process entails visualizing such narratives through a time-based medium, such as a camera, juxtaposing environments and personally significant objects. I therefore create narratives from the observer's point of view of these person-to-person and person-to-group relationships. 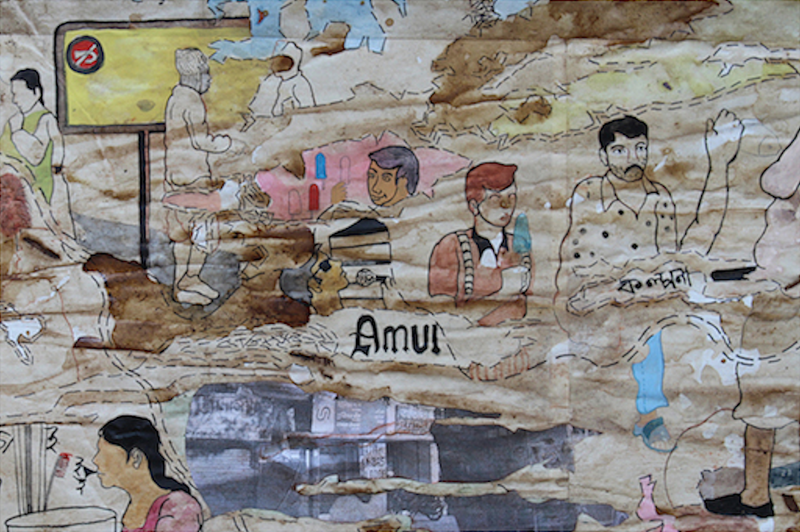 'Gharmas Ghori' by Ammar Faiz from Emergent Art Space on Vimeo. the purpose of creating a lasting archive of these games. have indefinite, undefined and shifting rules, since they have been transmitted orally. Hence the desire to keep alive the memory of their practice. 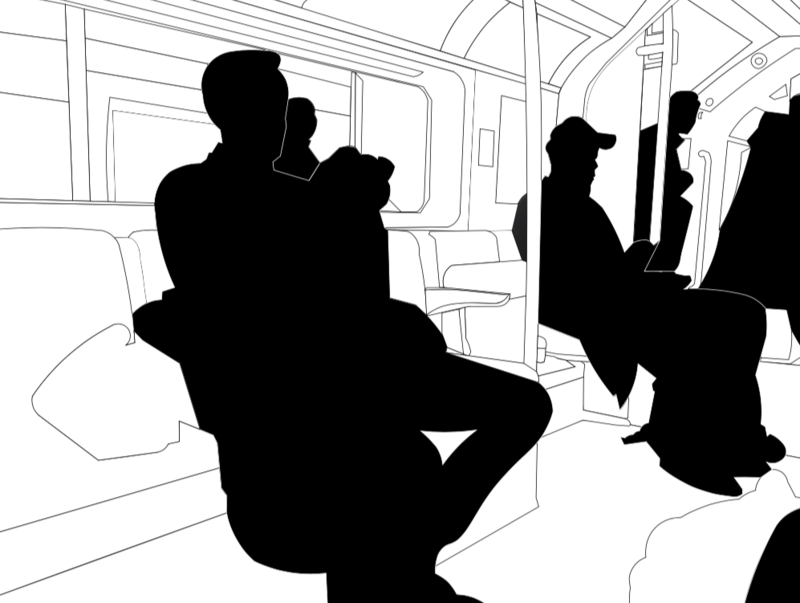 'Body Body' by Ammar Faiz from Emergent Art Space on Vimeo. 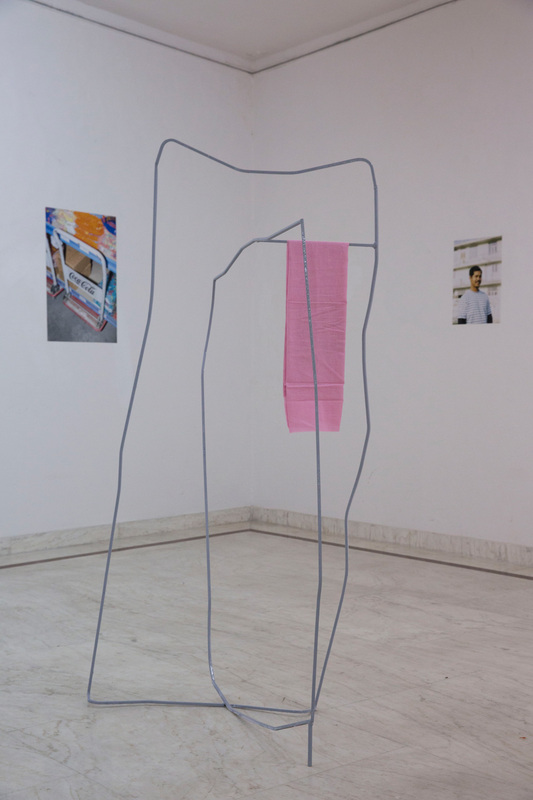 In September 2016 Ammar presented this work at the 'New Wight Biennial', University of California, Los Angeles, in the group exhibition 'Eye Spy', together with a large group of artists from South Asia and the Middle East. An amazing project that is allowing face-to-face conversations between people across distances around the world. 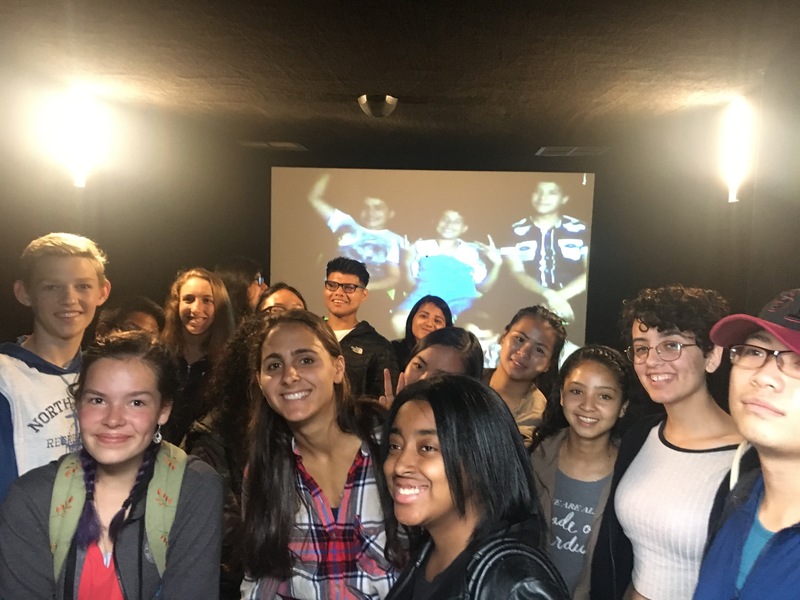 We, myself and fellow EAS staffer, entered to find an entirely black room, apart from the far wall completely occupied by a large screen. Upon the screen was a life­-sized video feed of two seated young men. They both smiled and waved as we entered. It made me think about this gesture. A smile and a wave, both are friendly, welcoming, even caring gestures. These two men didn’t know us. They had no idea who we were, yet, in the following twenty minutes, they extended their space, their stories, and their understanding to us. also uses art as a gateway to conversation. 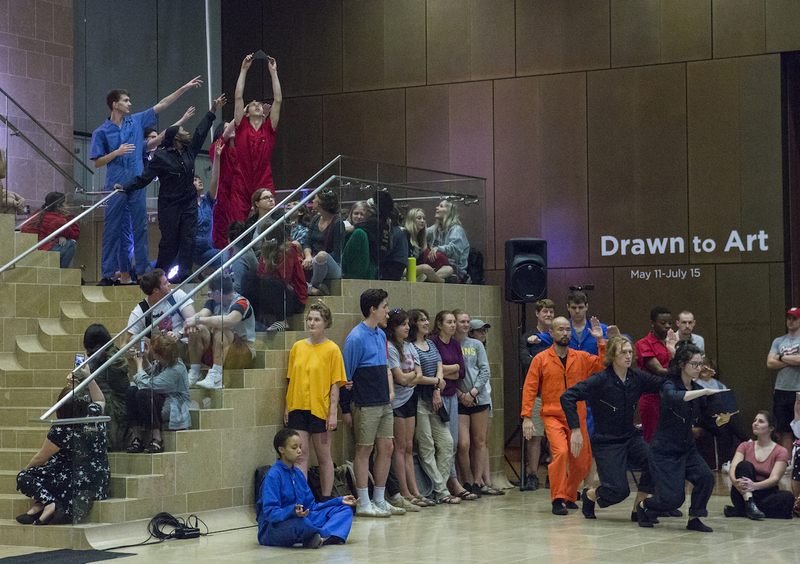 EAS’s global focus is on building communications, across culture, transcending language barriers through art. The curators in Afghanistan, Khaled Salar and Saied Habibi, communicated with us in English and have traveled past the borders of Herat, Afghanistan, from where they were in a portal themselves. Saied is from Iran but moved with his family to study. Khaled started travelling to the United States when he was a student as part of an exchange program and continues to travel for work. They both work with people by day, as a soon­-to­-be professor and educator of teachers, respectively. I admired the effort they made to bridge the gaps in communication and was inspired to put aside my reservations of not being able to relate to their lives. We eventually delved into a conversation about teaching and the wonderful privilege it is to get to work with students, to be able to witness their “aha” moments and build circumstances where their creativity thrives. Saied and I found common ground in math and problem solving. We even enjoyed trying to convince Khaled of math’s beauty and virtues. as someone and you talk about the weather. This wasn’t small talk. Anne­-Marie says, “sometimes, I could see how it's a shame to not be able to share a conversation on the surroundings--­­to refer to little details and jump into a conversation from there. The surroundings can still be described, though!” 3 This wasn’t an exchange of pleasantries. 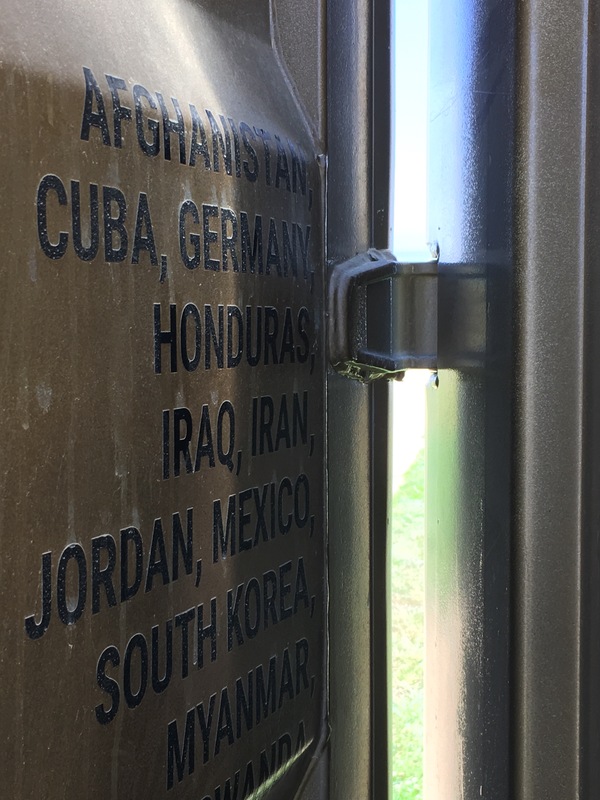 This portal is an isolated space, yet it transported us to a common ground, like an embassy, a sort of ceasefire or peace zone between two nations, but instead between people. The weather was vastly different between fall in San Francisco and Herat. But weather is something we have all talked about. We all know what the sun is, what it feels like. What it is to be cold. To wear layers. To get a runny nose from the chilly air. There is common ground among all people. Sharing laughs, likes, and dislikes, we formed a bond with the Afghani curators in the twenty or thirty minutes we spoke. There wasn’t a moment of silence, wondering what to say next. There was no moment of wondering if what we were sharing was valid, useful, or necessary. There was no end goal and perhaps that was precisely the point. Anne­-Marie suggested entering the conversation without expectations of what it should be, and to dispose of the idea that we were entitled to a particular beauty in the conversation. Part of creating an open space is asking questions without imposing an answer, not imagining that this conversation will be at all like any other we have ever experienced. We fear that we would not be able to connect with people in different social, political, and economic circumstances. People vary in their race, culture, experiences, and background. But instead of creating connections and seeking to understand what we do not understand, we shy away from what we do not know. The SF Portals Project is providing an opportunity to people of all backgrounds. 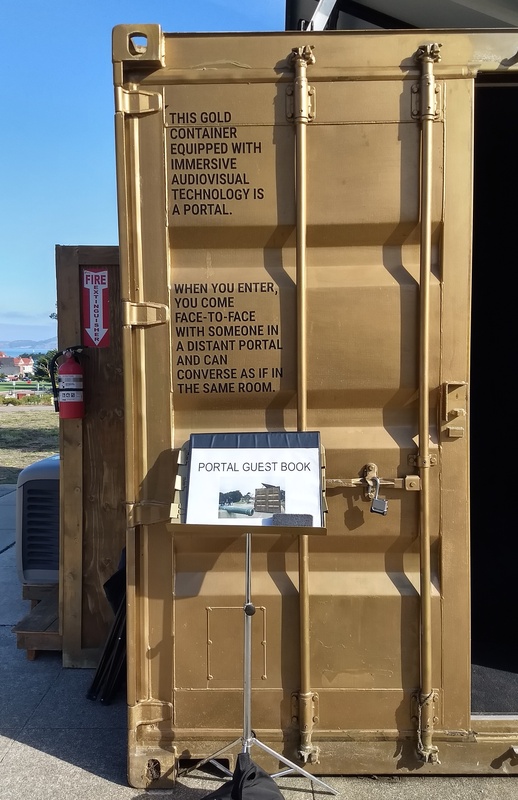 The portal started as a “standard intermodal shipping container: because it’s secure, it’s accessible, it’s not that expensive, and it’s uniform.” 5 There isn’t a requirement for prior understanding, expectation of what the conversation should be, or end goal. In creating the Portals Project, every detail from the location to the physical space was intentional in creating this atmosphere. Importantly, it is also open to all socioeconomic statuses, as it is free and in high­-traffic, publicly accessible open spaces. Anne­-Marie quotes Jonathan Herrera in her explanation: "‘If it is inaccessible to the poor it is neither radical nor revolutionary.’ We need all voices, all types of people, teaching each other. Those without homes, those with several houses, those that talk, those that listen, those that need to be heard...you already know. The chaos of the plaza! The only real, free education out there.” 6 The portal not only gives people permission to express themselves fully, but is also unlike the public sphere, where people fear the recurrence of injustices they've faced. Litak hopes that if people disagree or have questions about this work, they do reach out to Shared Studios, but they don’t come empty handed. She encourages participants to first analyze the problems they see and think of what they would do differently, and then do it! We don't have enough action taken in the world. 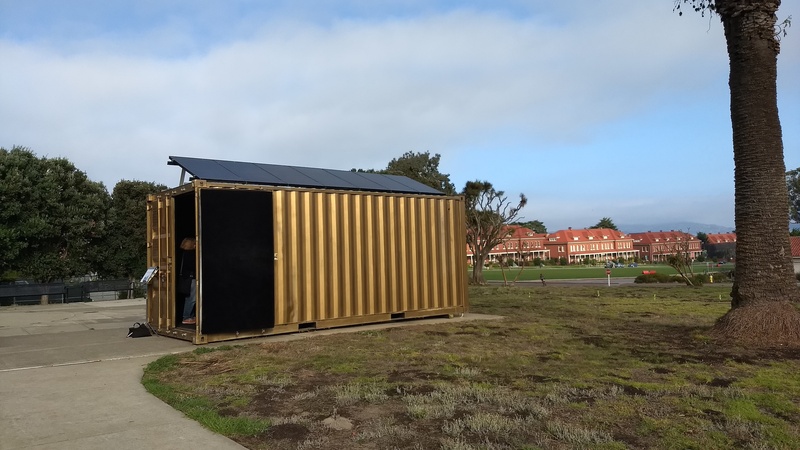 The San Francisco Portals Project was previously set up in Crissy Field and outside the Officer’s Club in the Presidio. For interested participants, it has now reopened at Bulldog Tech Junior High School in East San Jose.